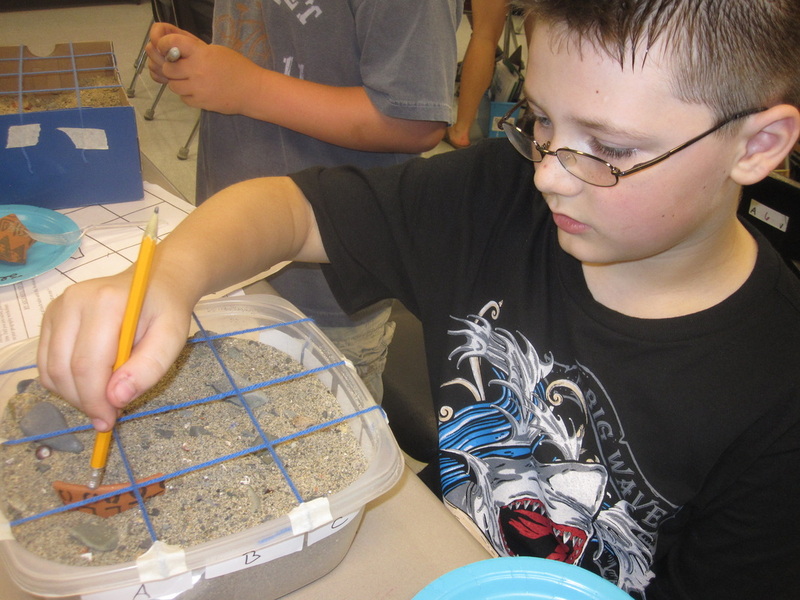 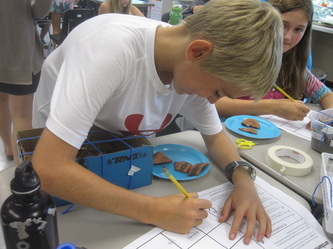 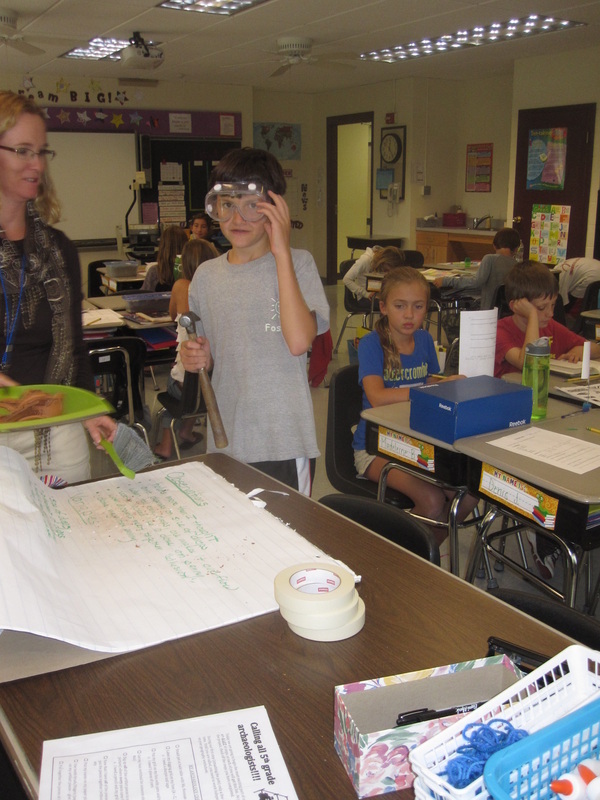 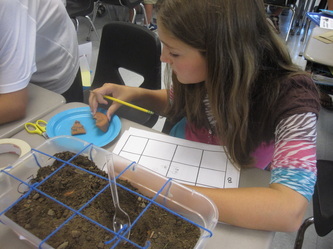 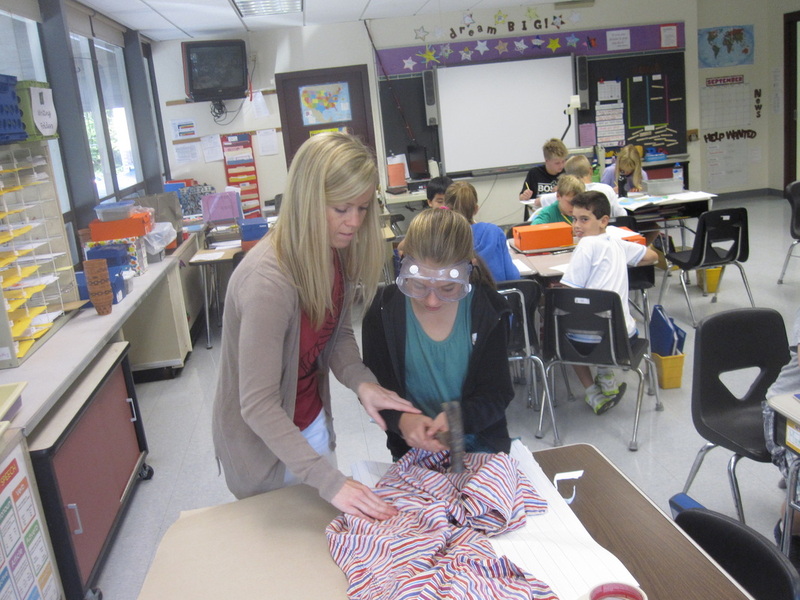 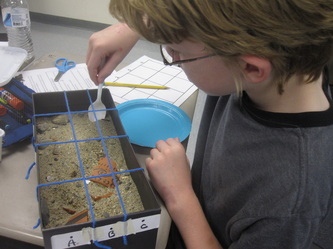 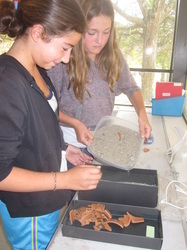 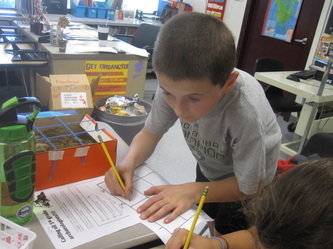 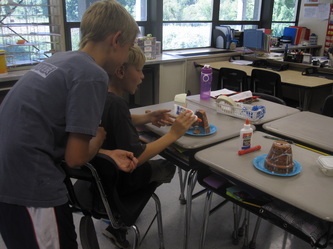 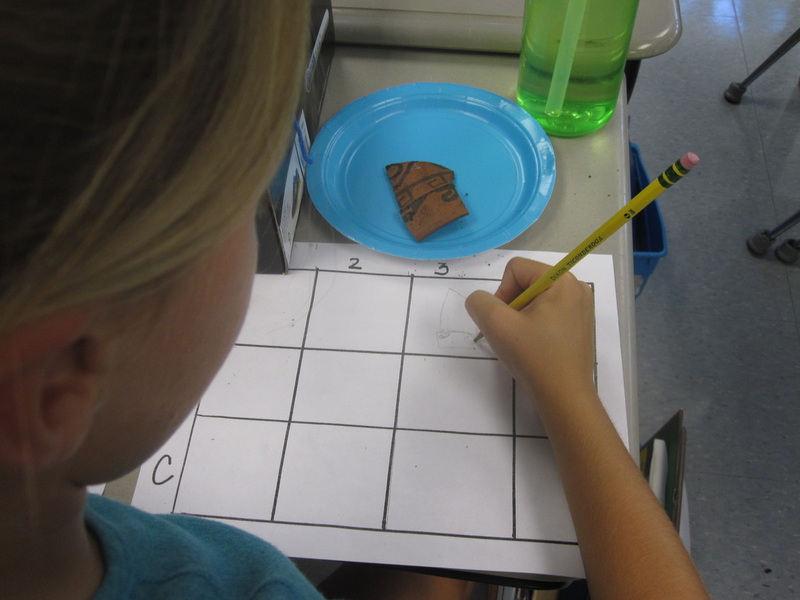 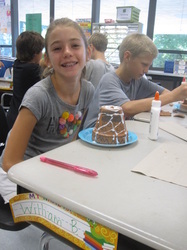 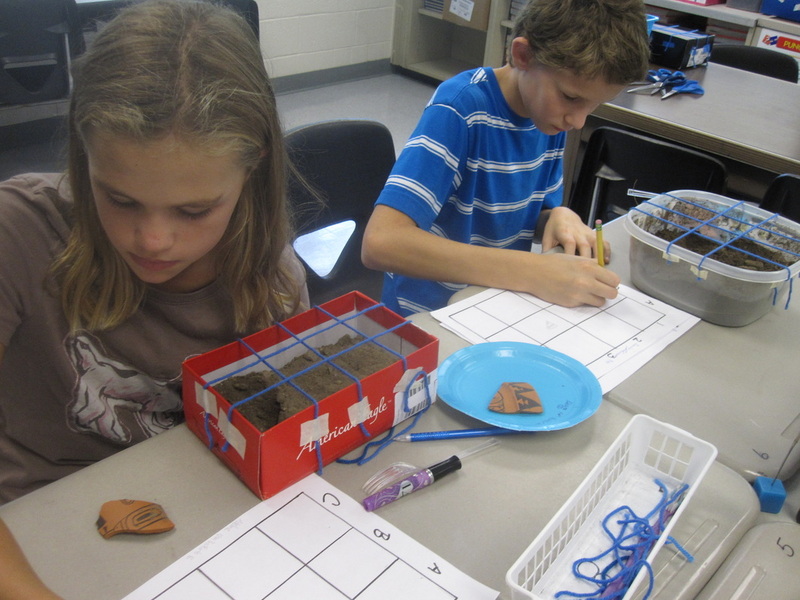 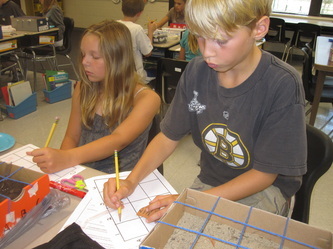 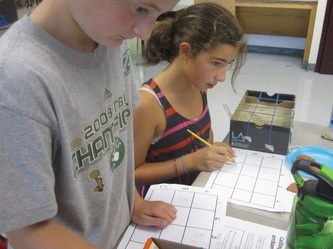 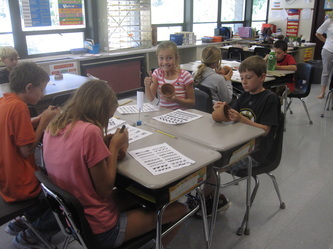 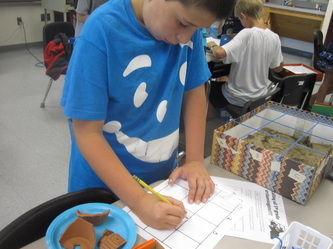 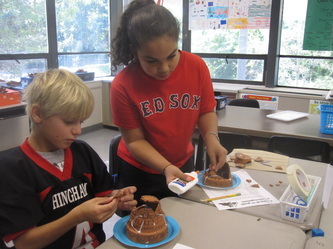 In social studies, we begin the year with an archaeology unit to familiarize students with the way archaeologists over time and still today are able to learn about past civilizations and groups of people. 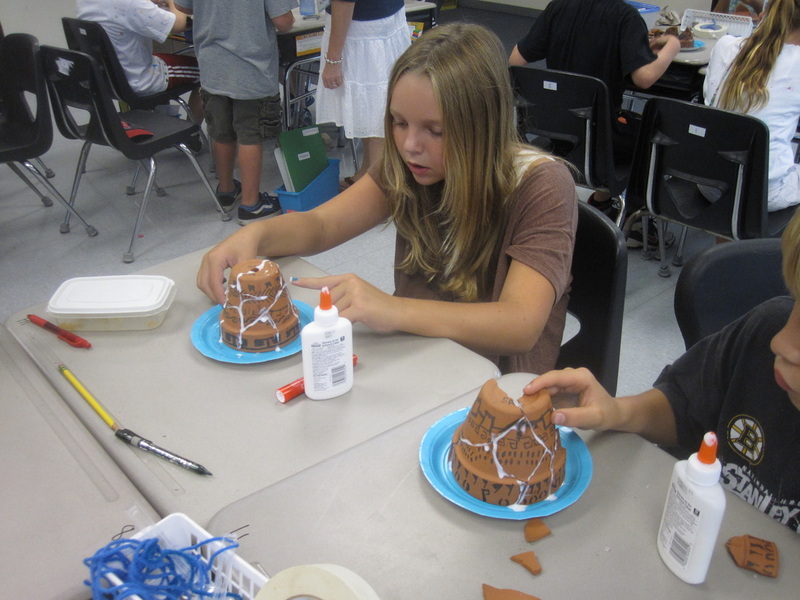 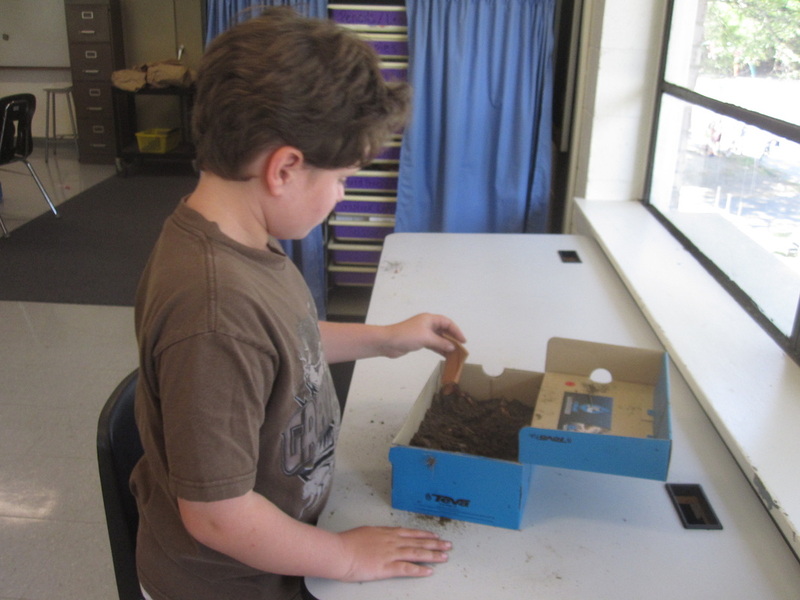 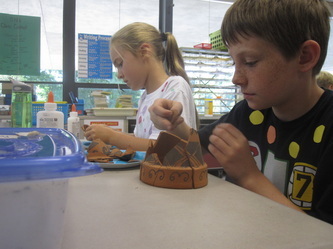 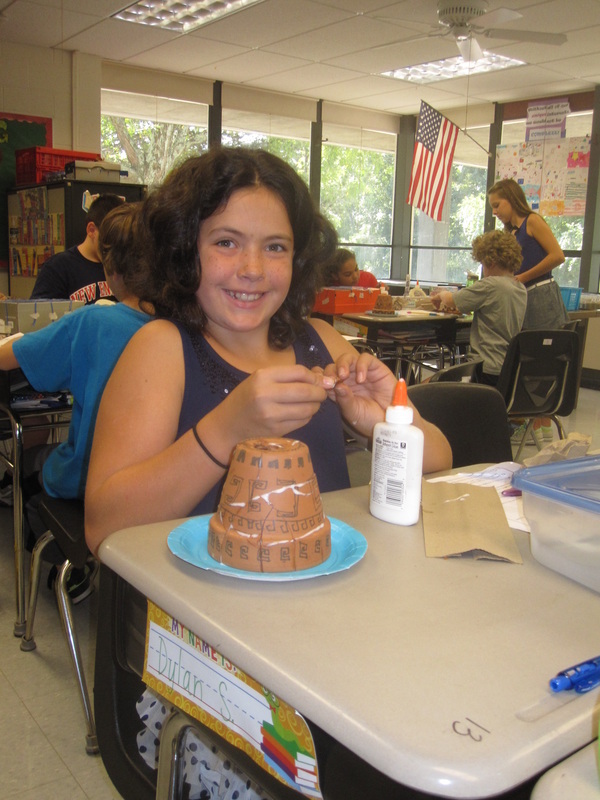 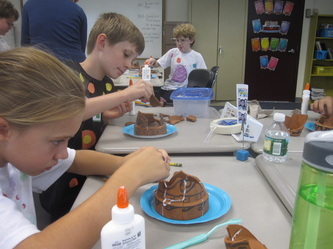 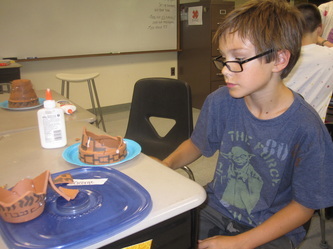 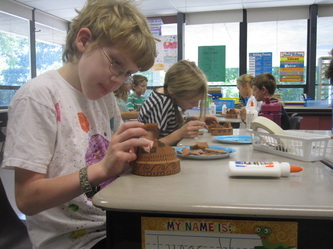 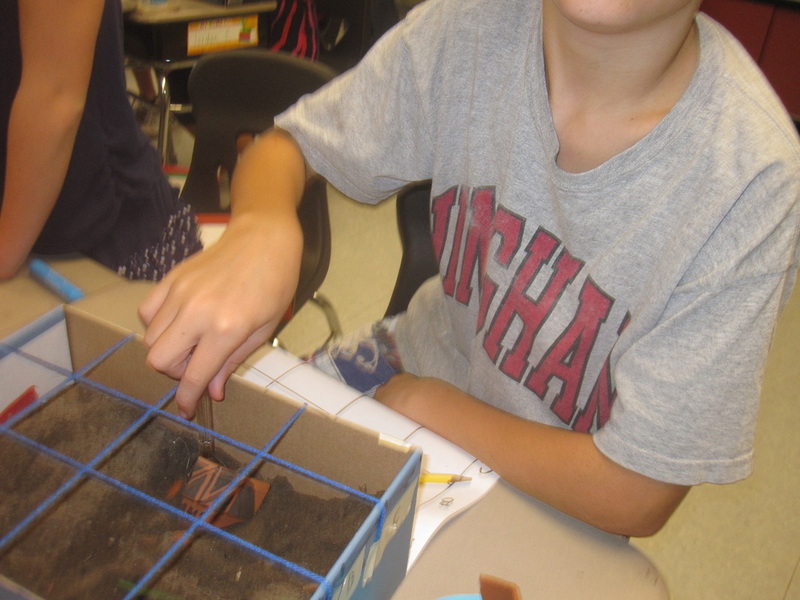 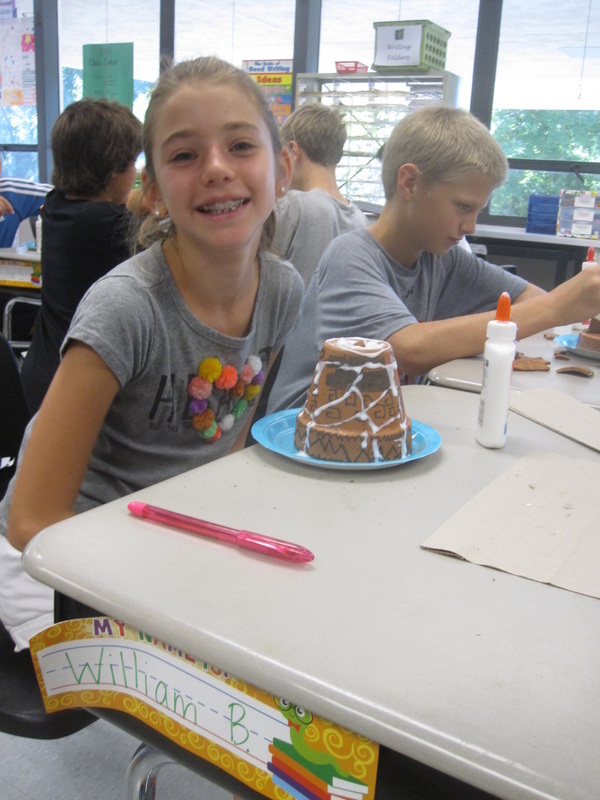 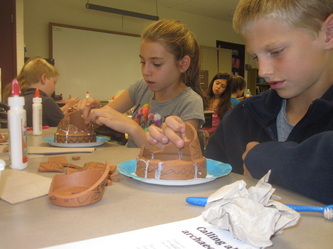 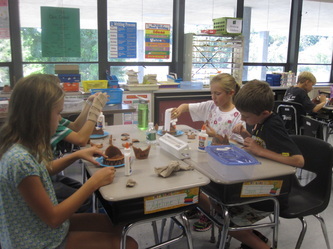 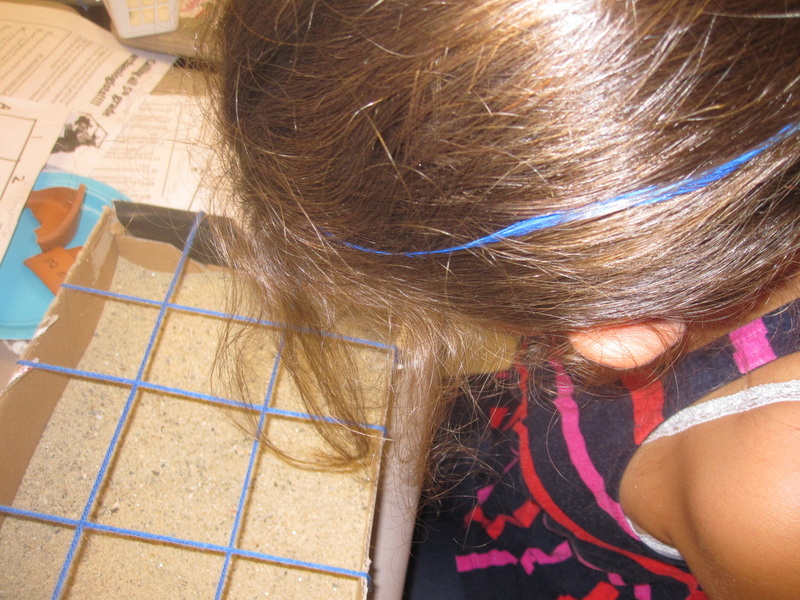 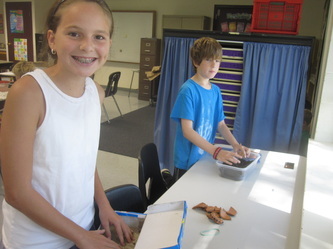 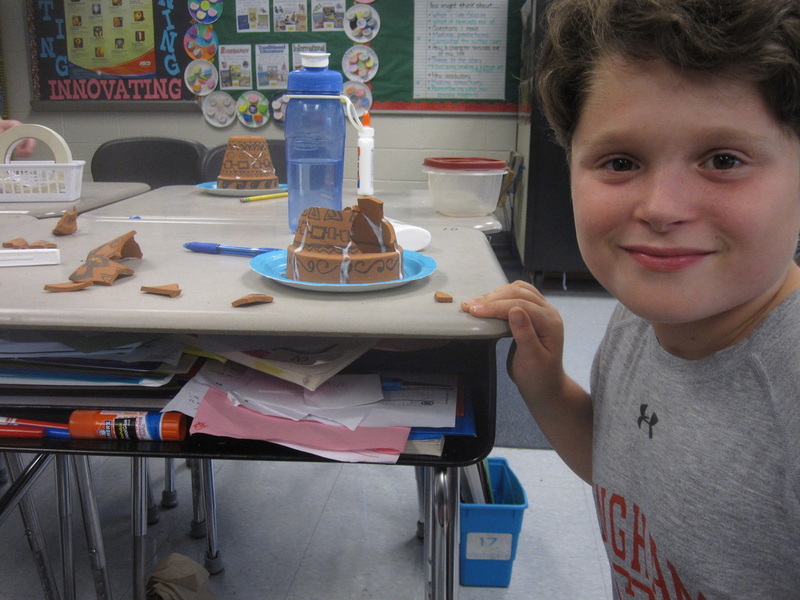 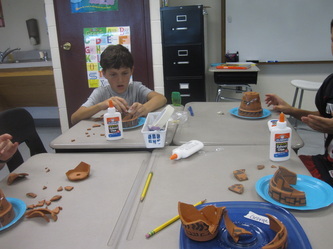 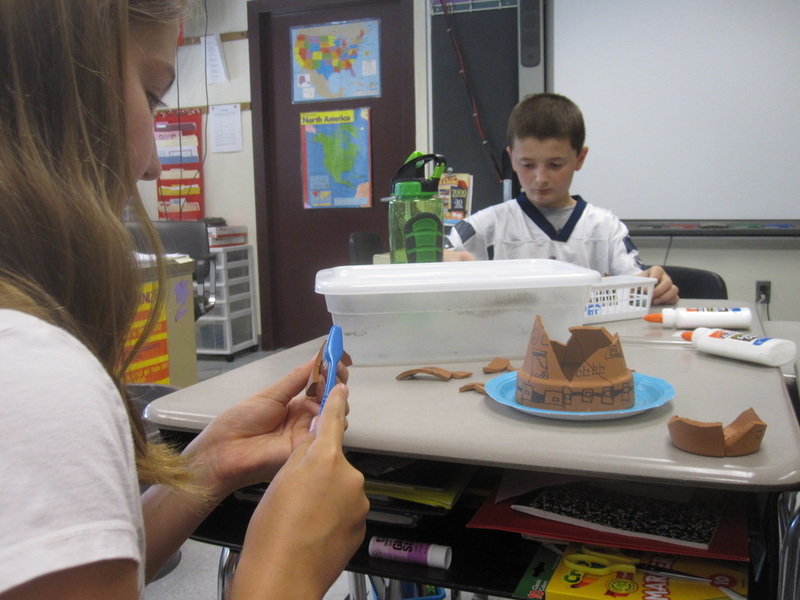 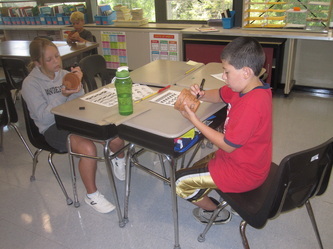 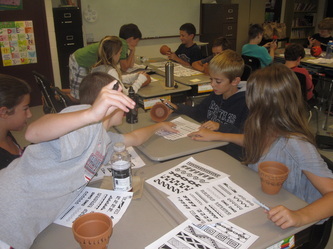 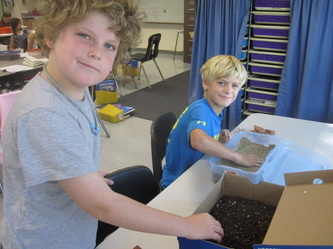 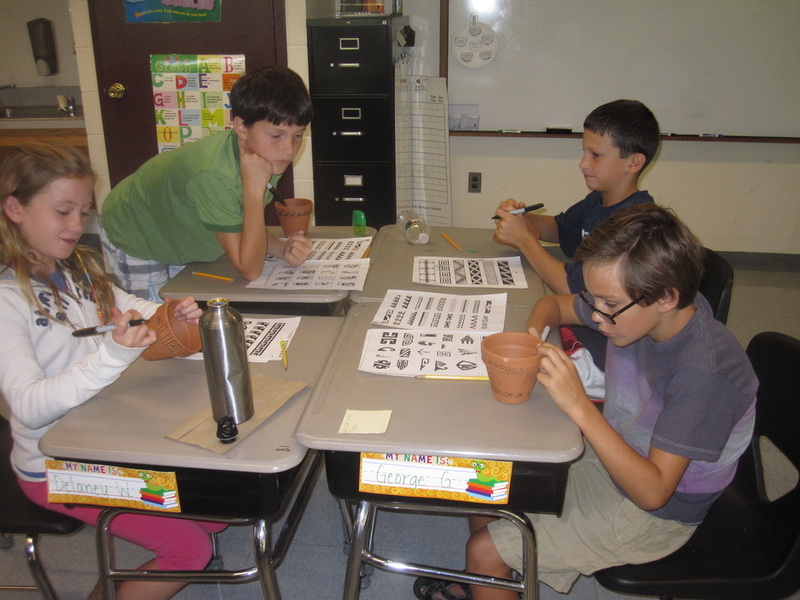 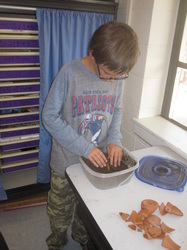 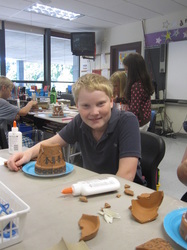 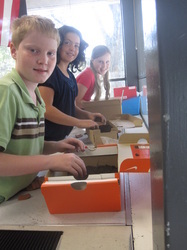 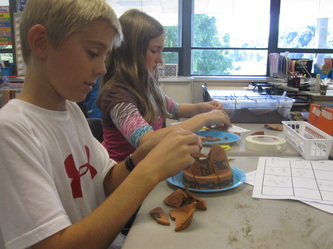 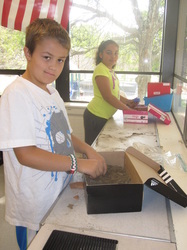 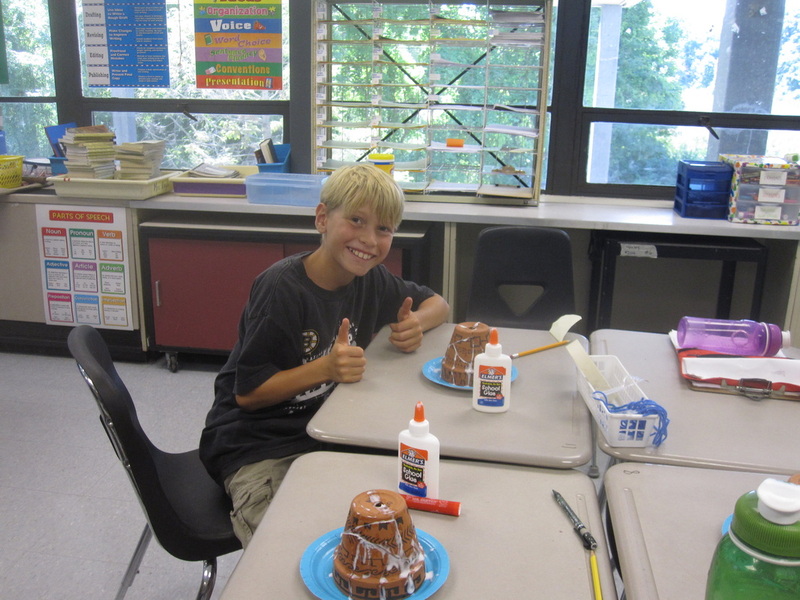 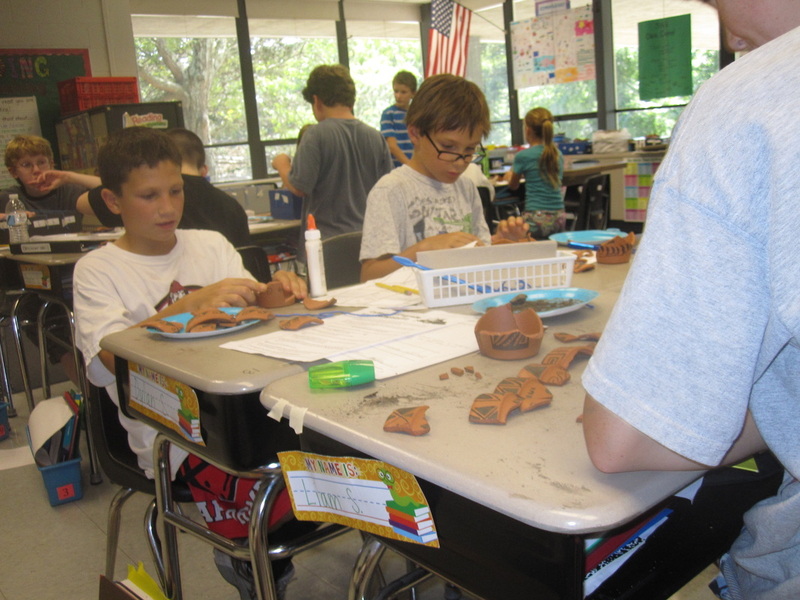 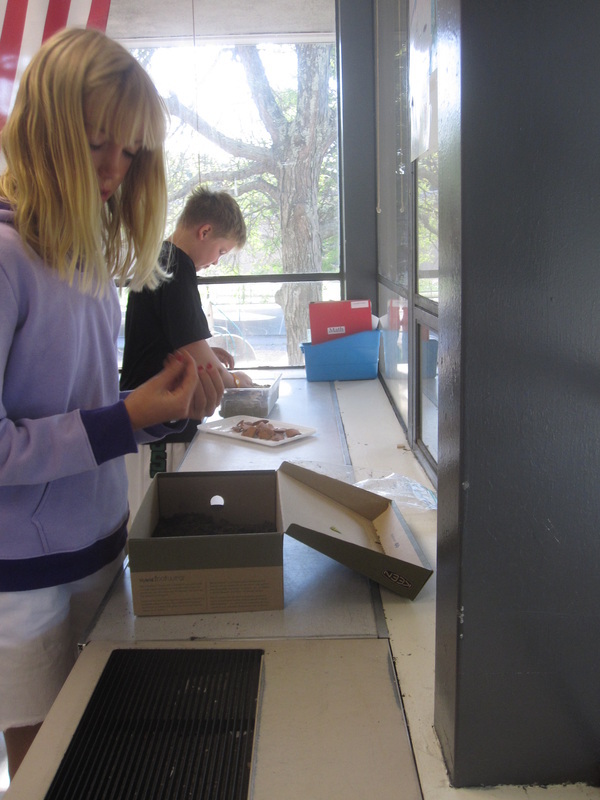 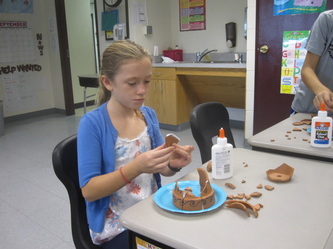 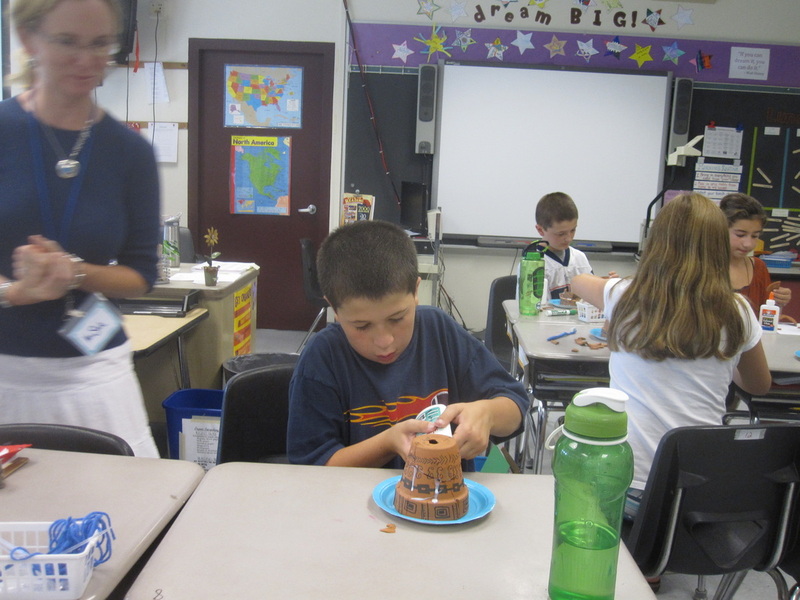 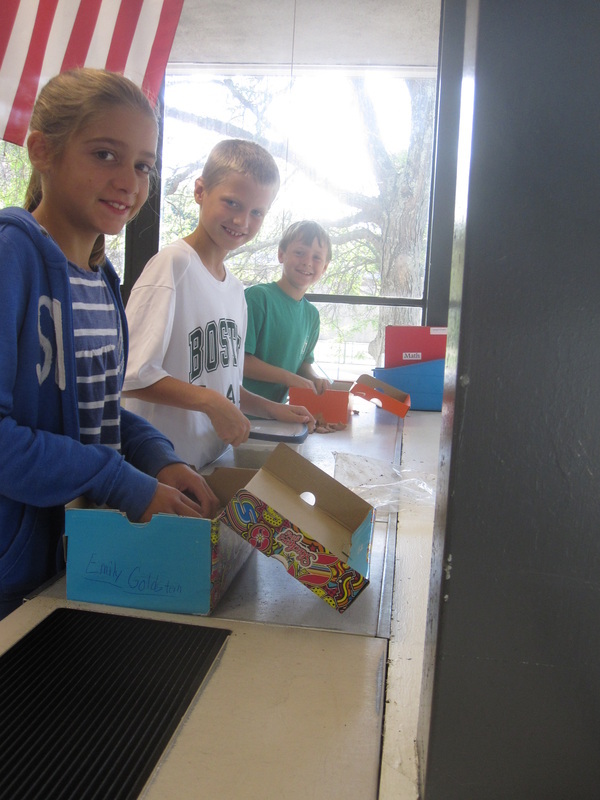 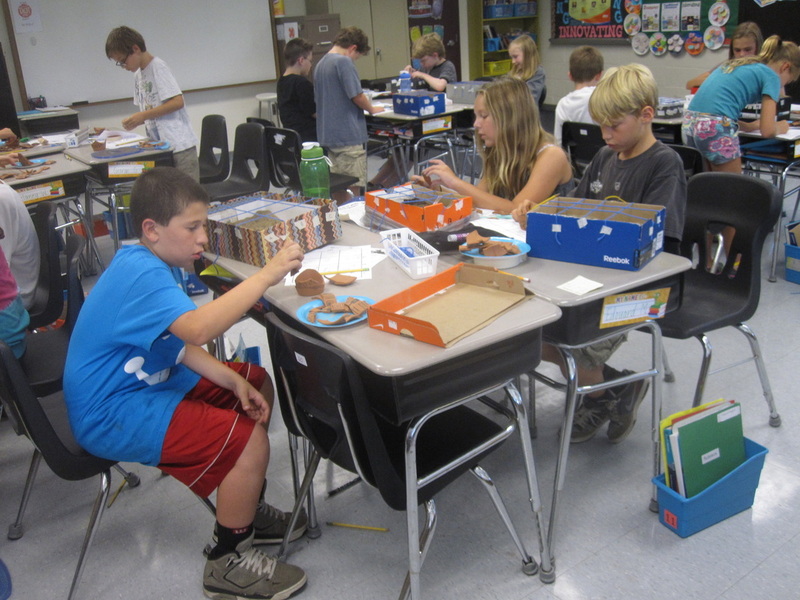 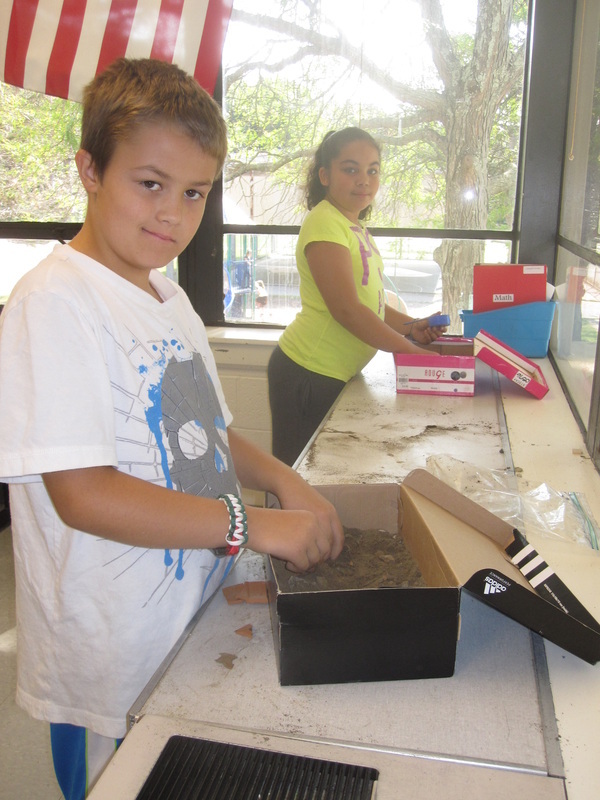 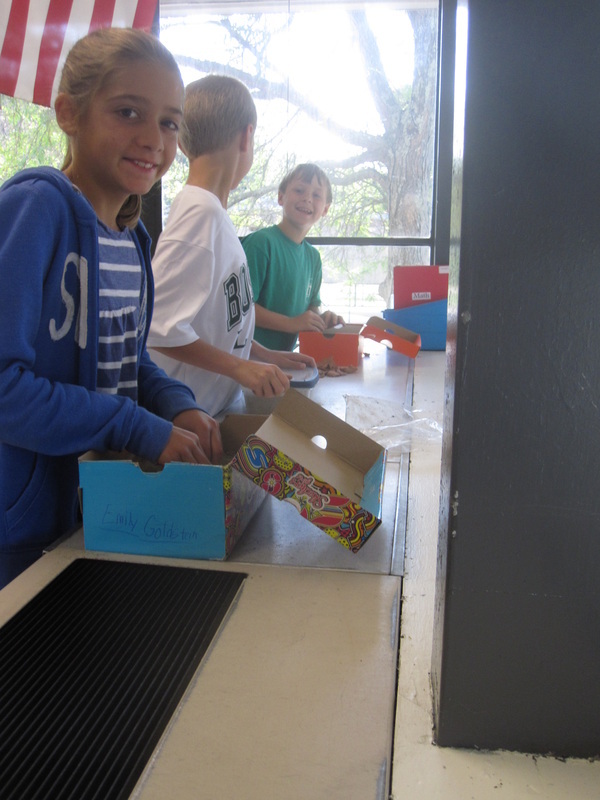 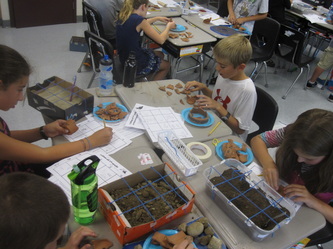 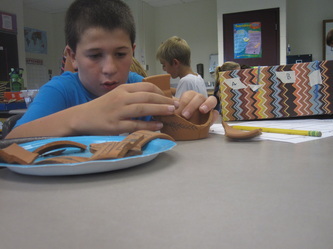 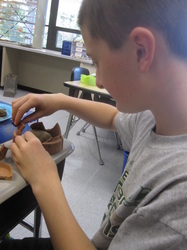 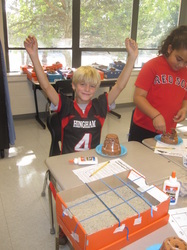 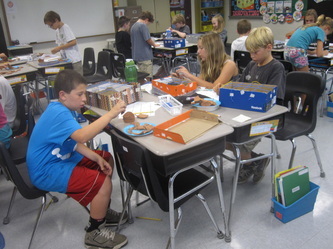 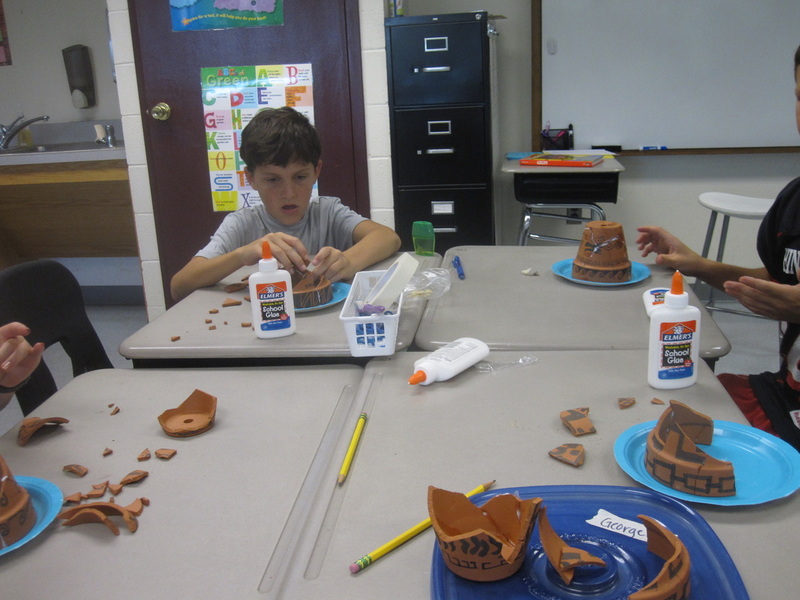 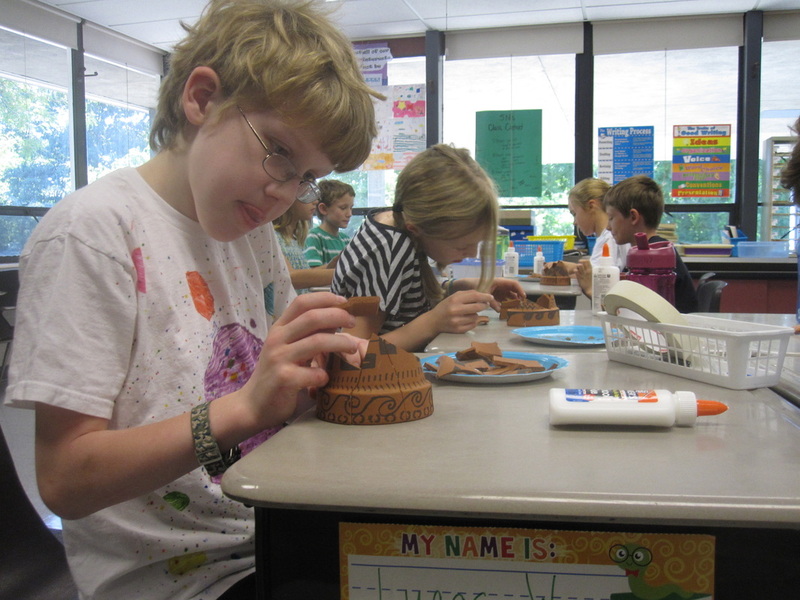 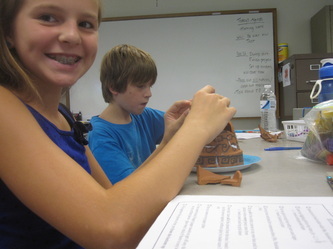 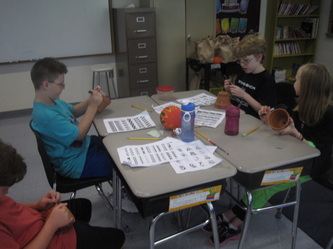 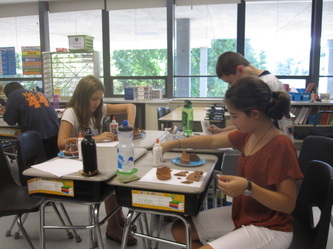 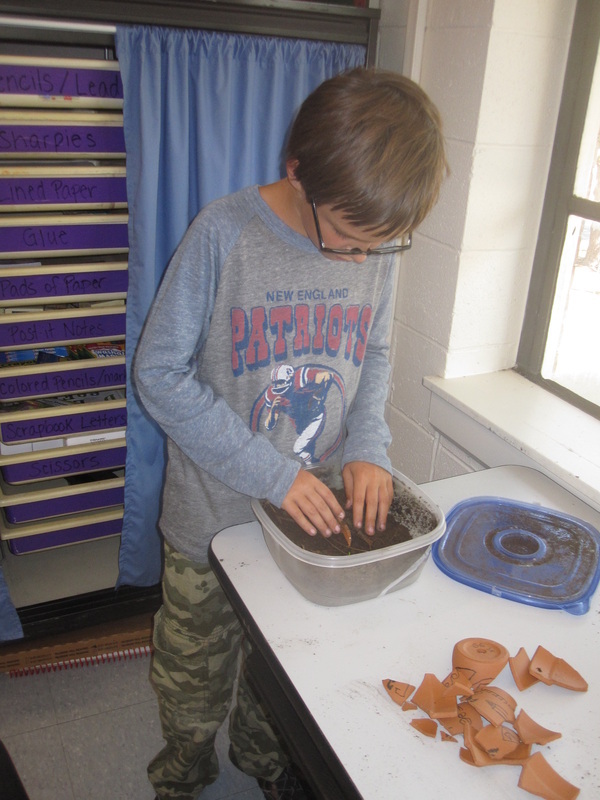 Students design clay pots, smash them, and bury them in a box of dirt. 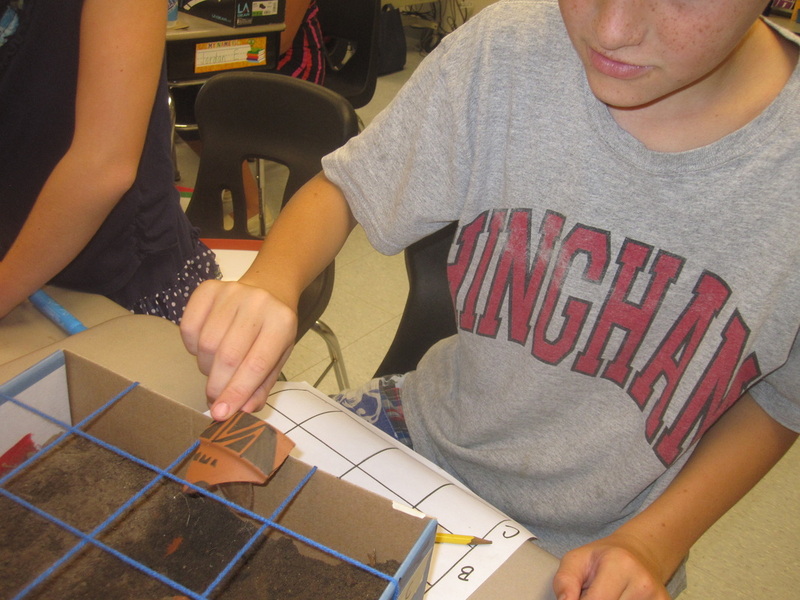 Next, they switch boxes with a partner, create a grid system, "dig up" and record all the pieces, and then actually put the pot back together! 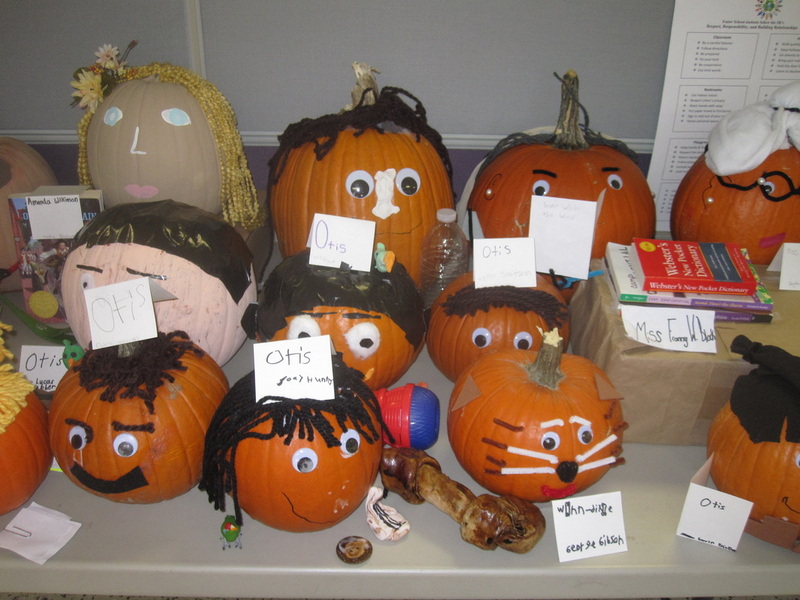 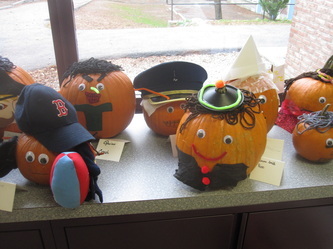 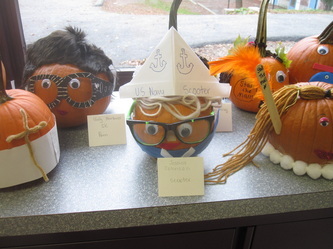 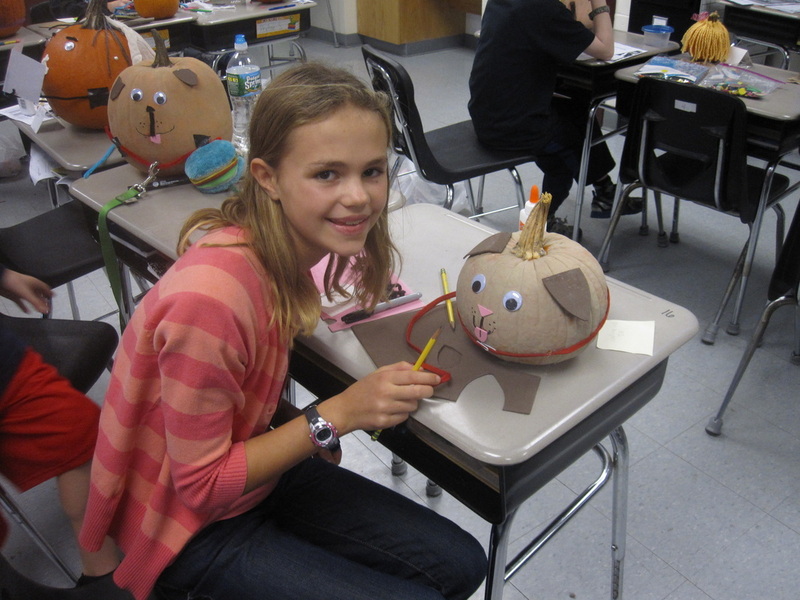 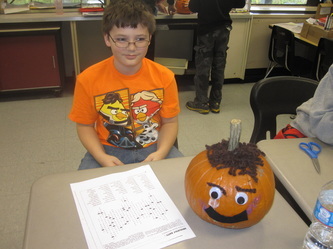 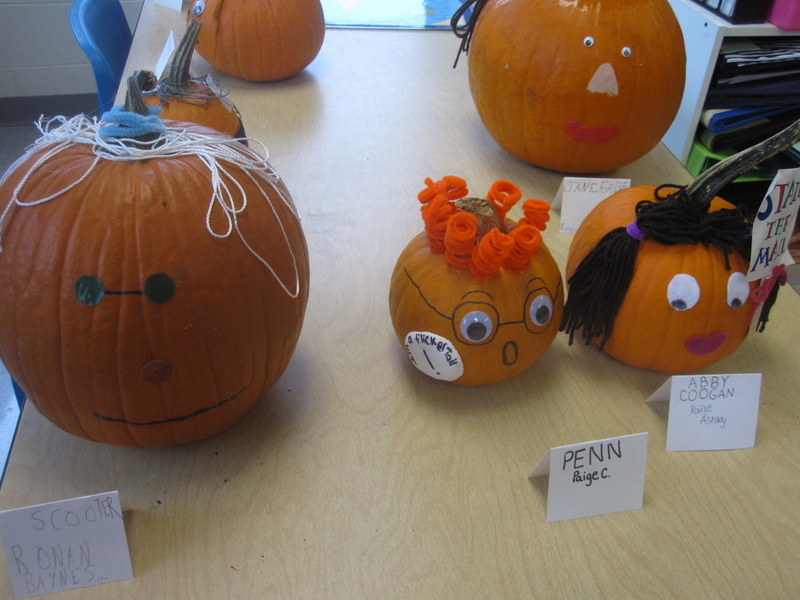 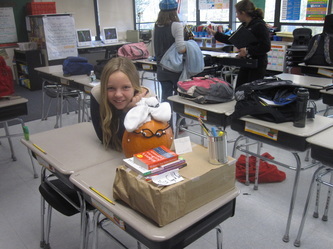 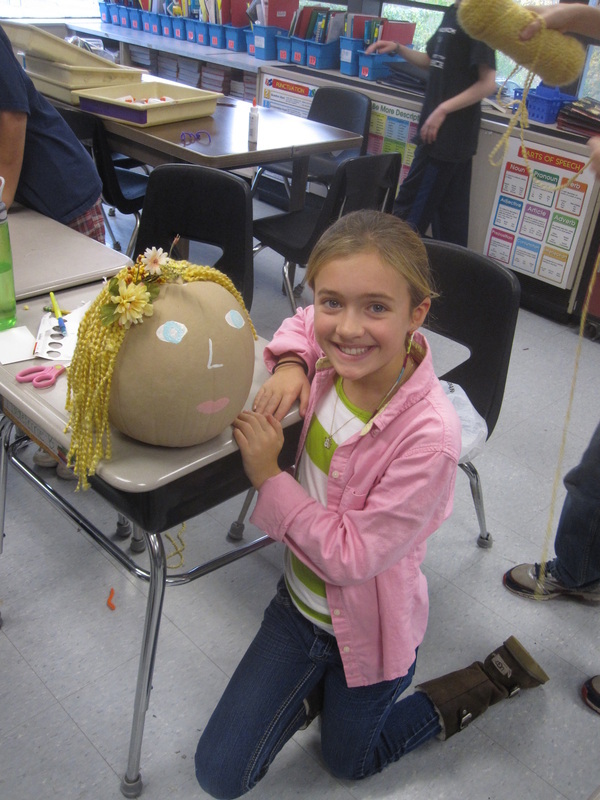 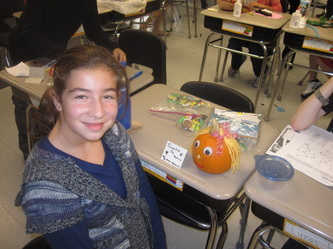 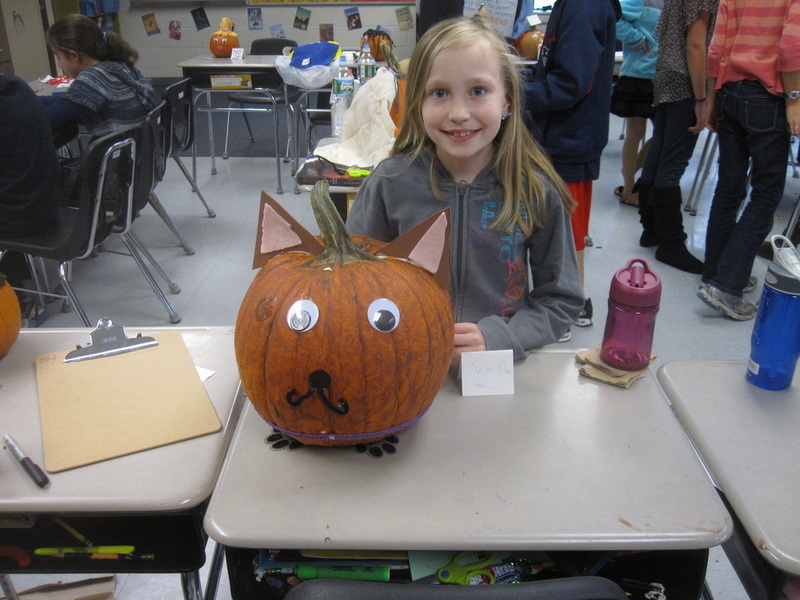 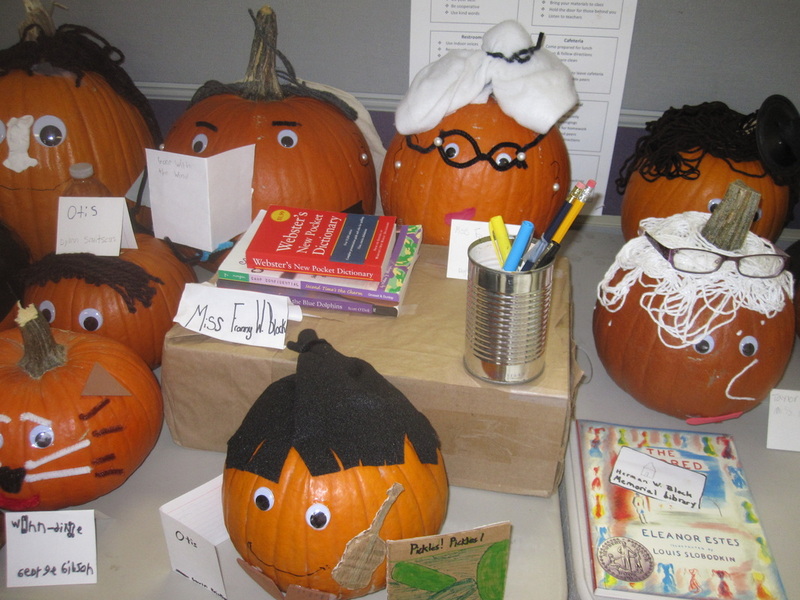 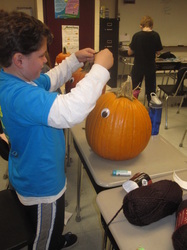 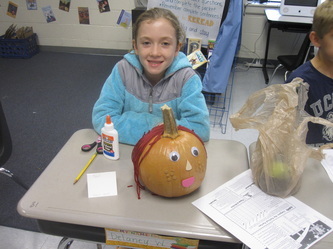 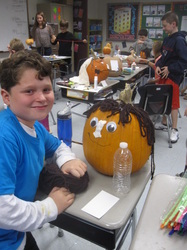 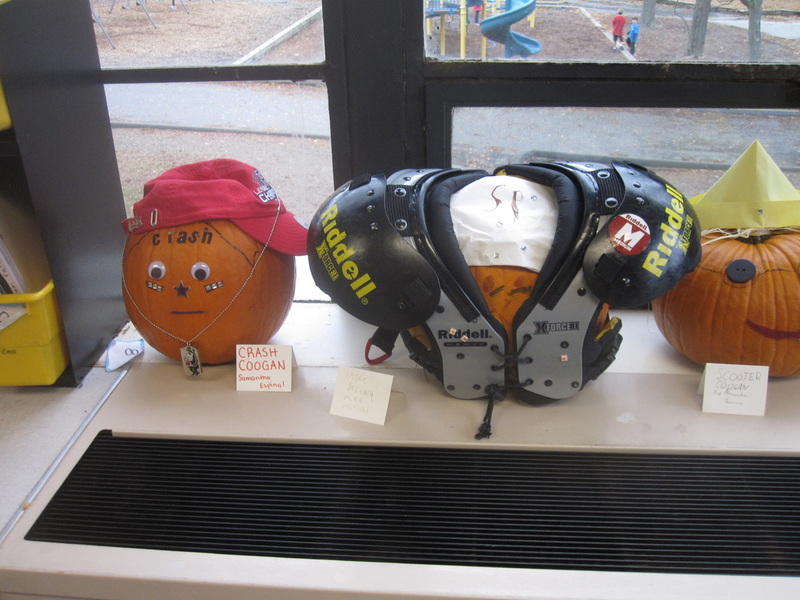 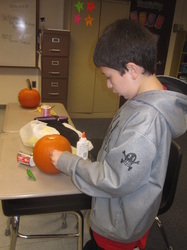 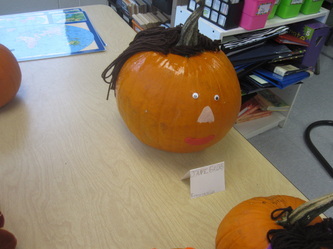 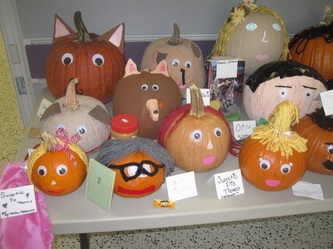 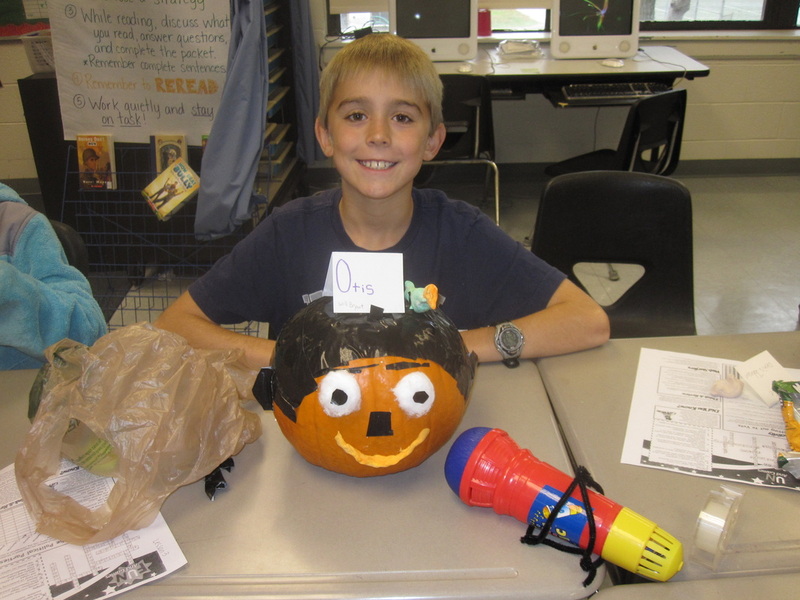 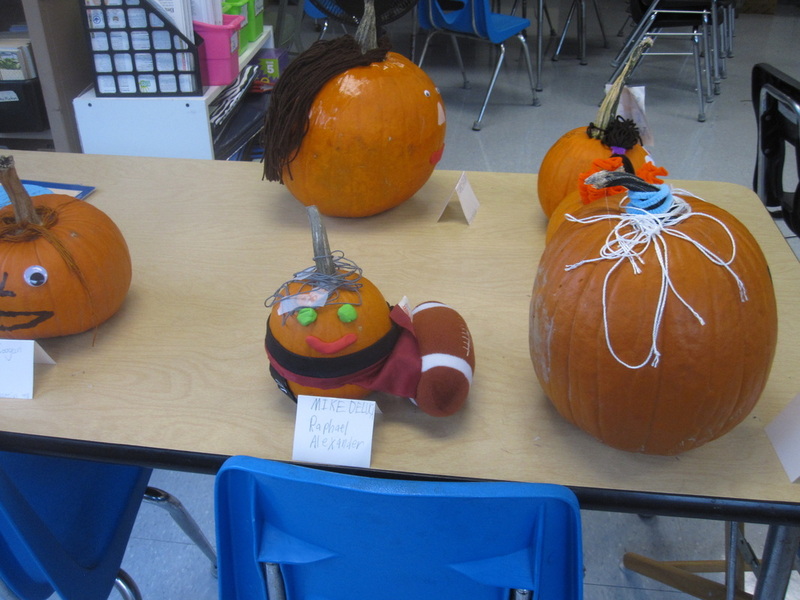 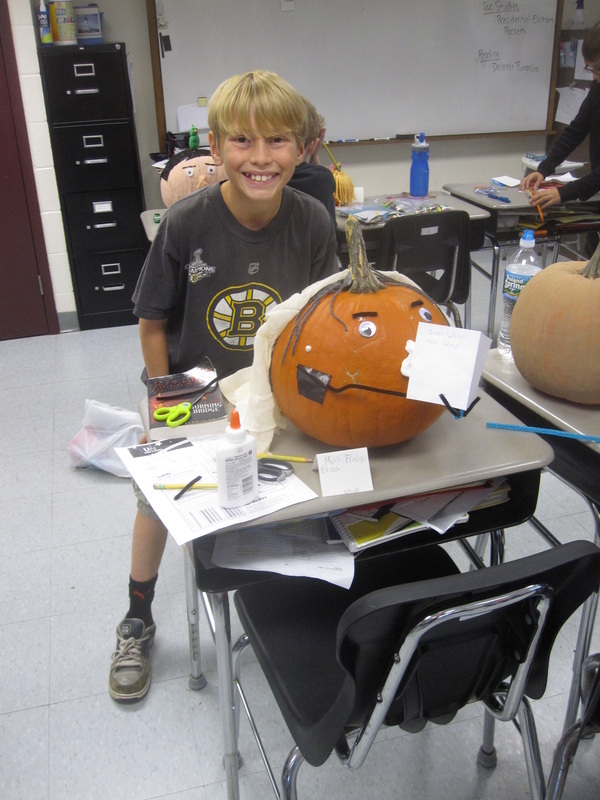 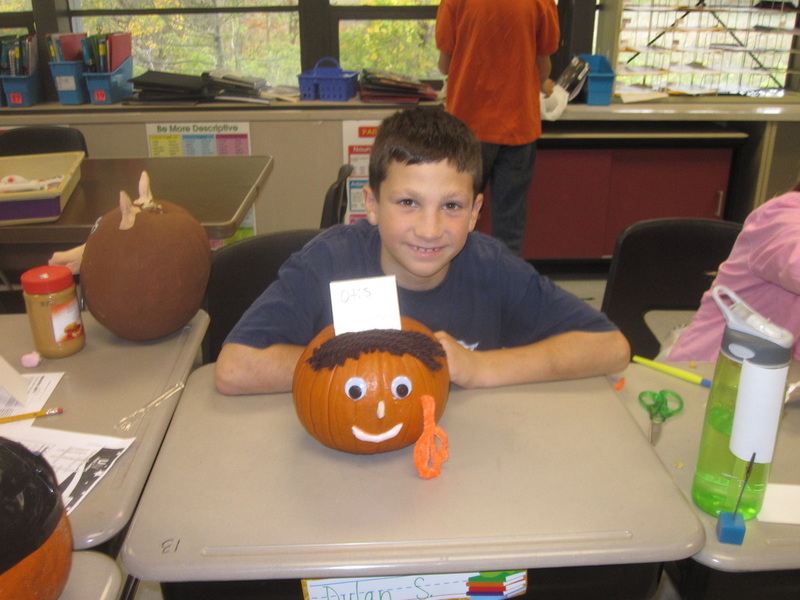 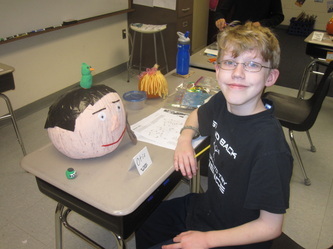 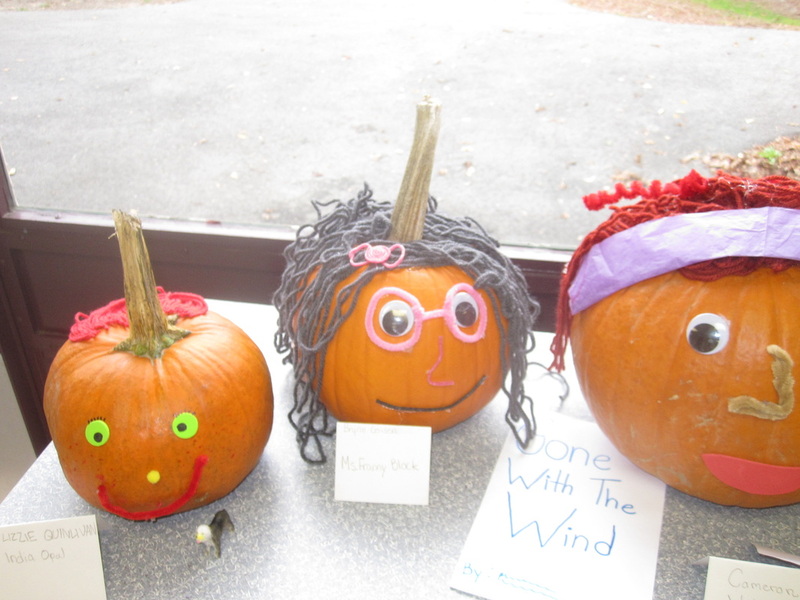 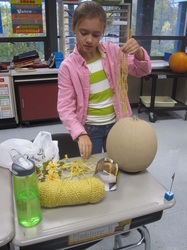 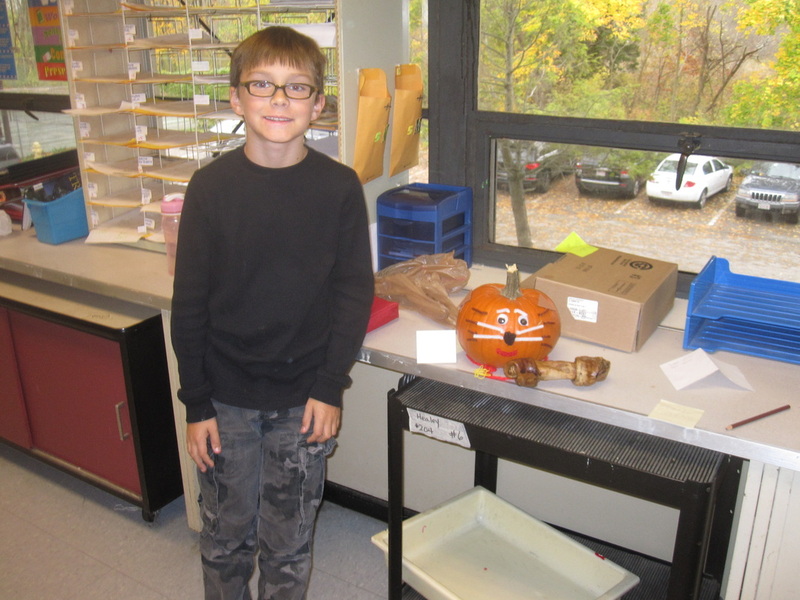 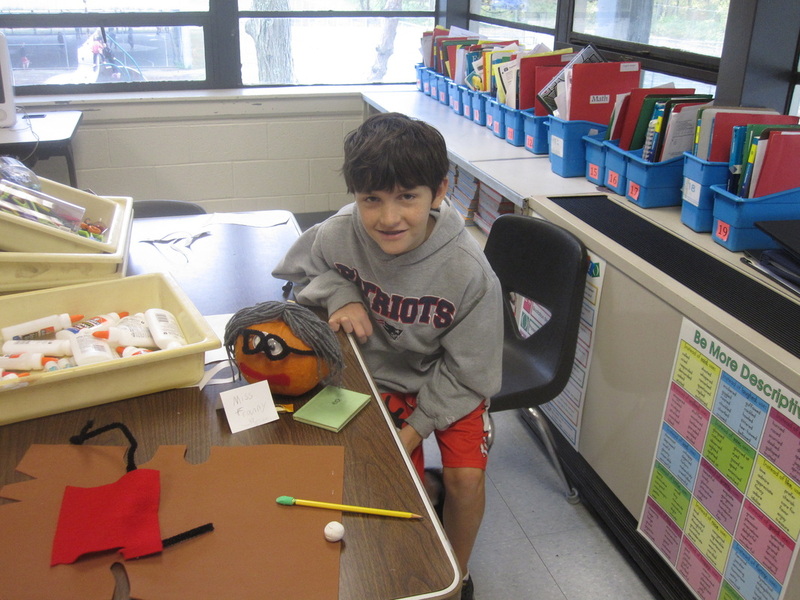 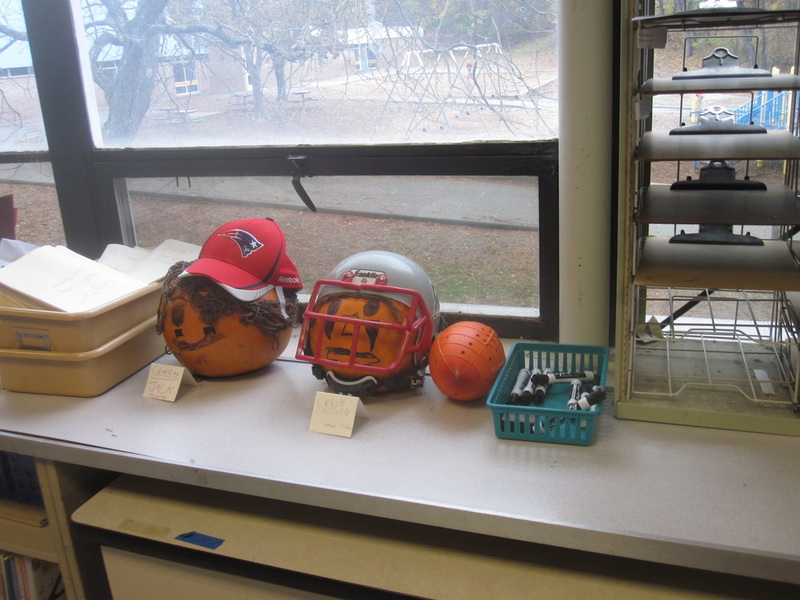 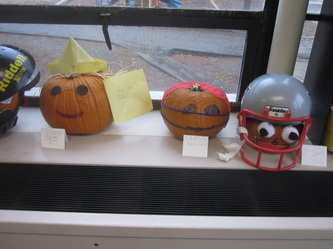 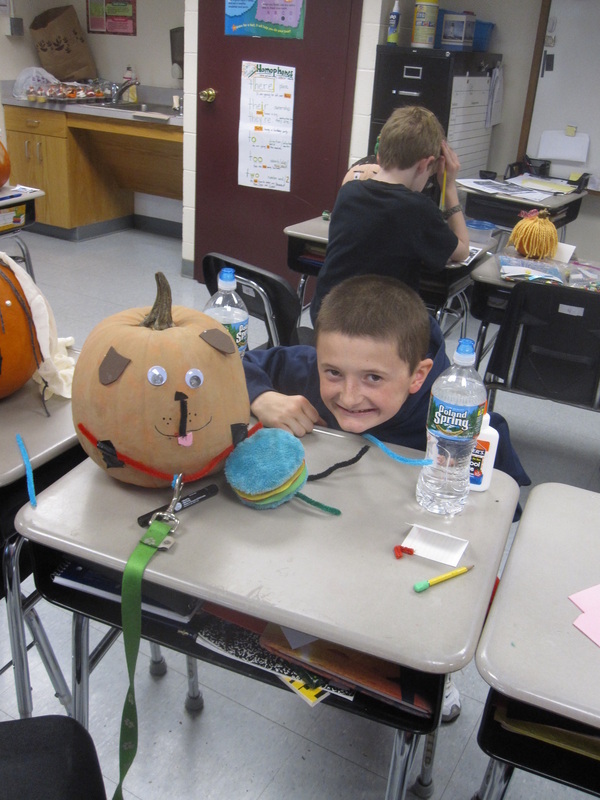 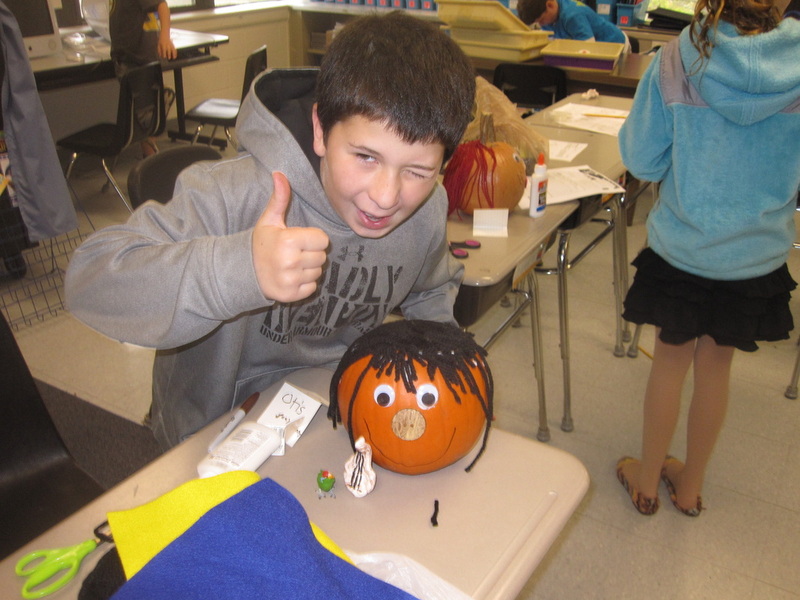 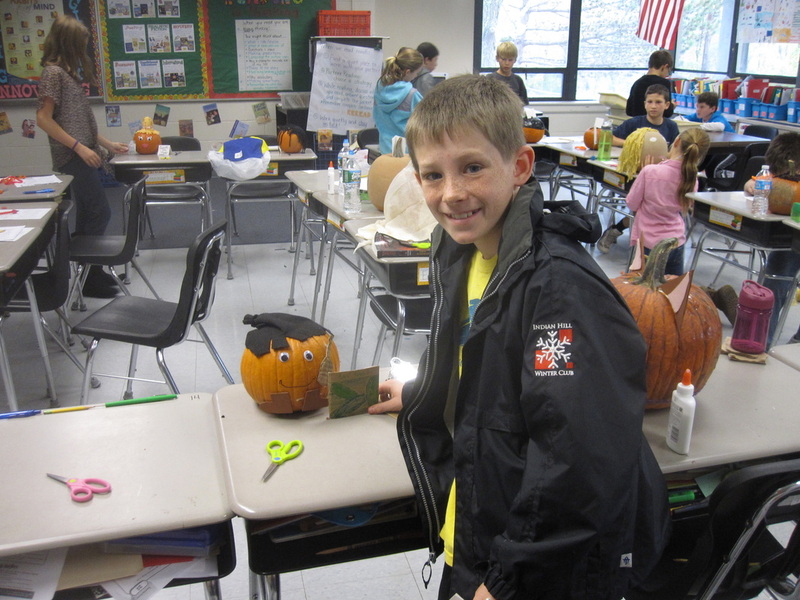 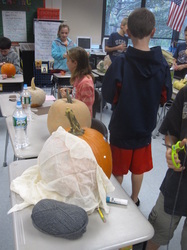 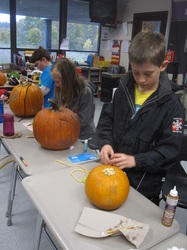 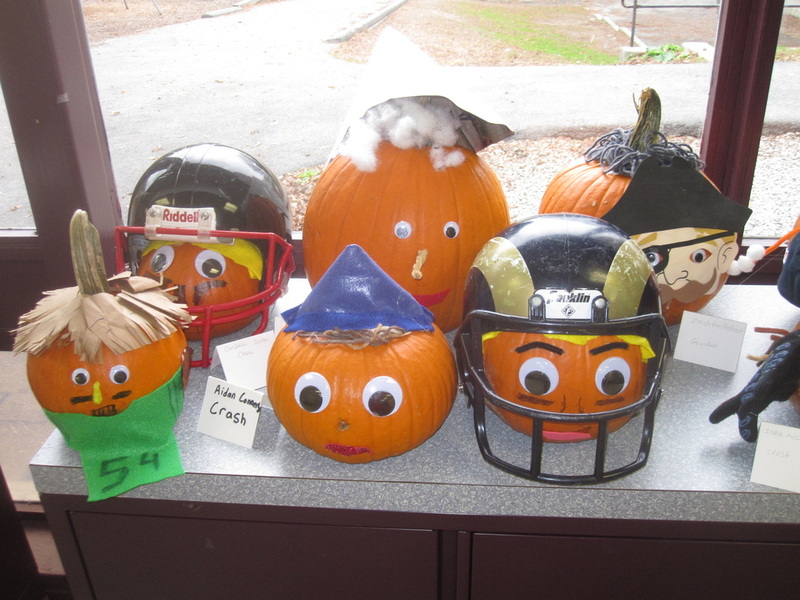 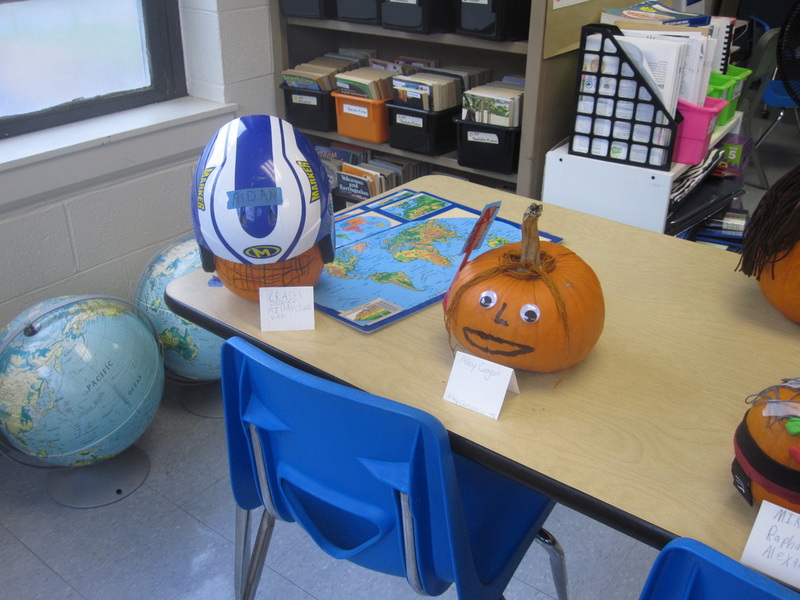 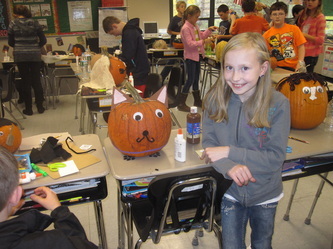 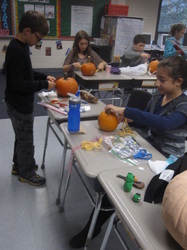 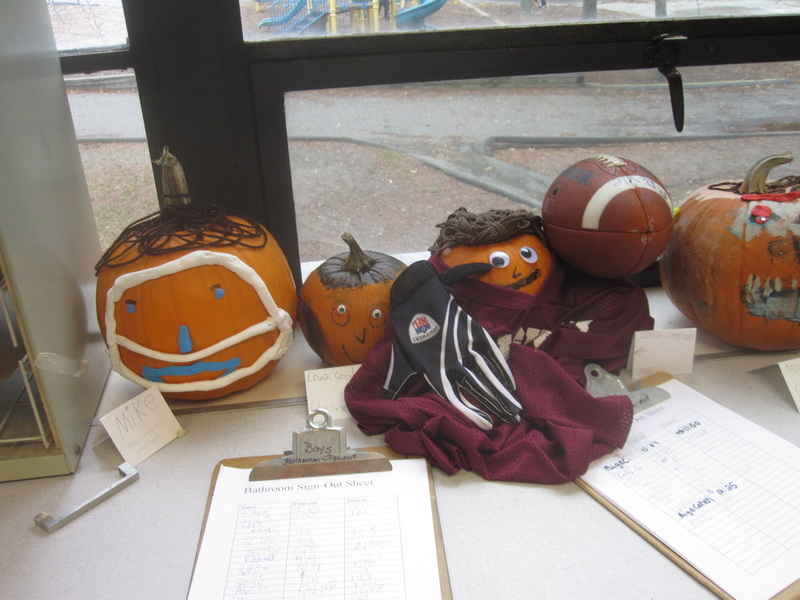 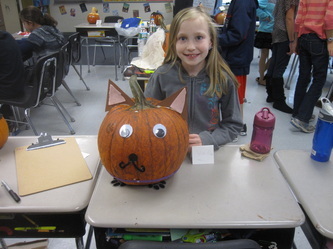 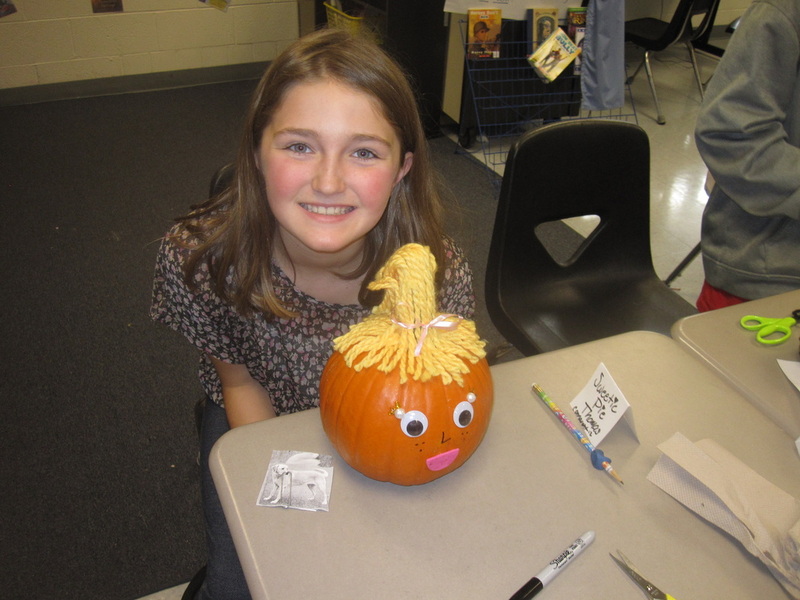 In the fall we create pumpkin characters based on novels we are reading. 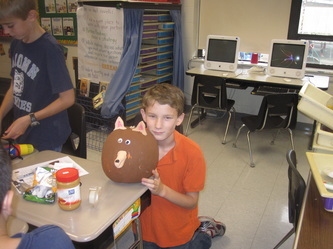 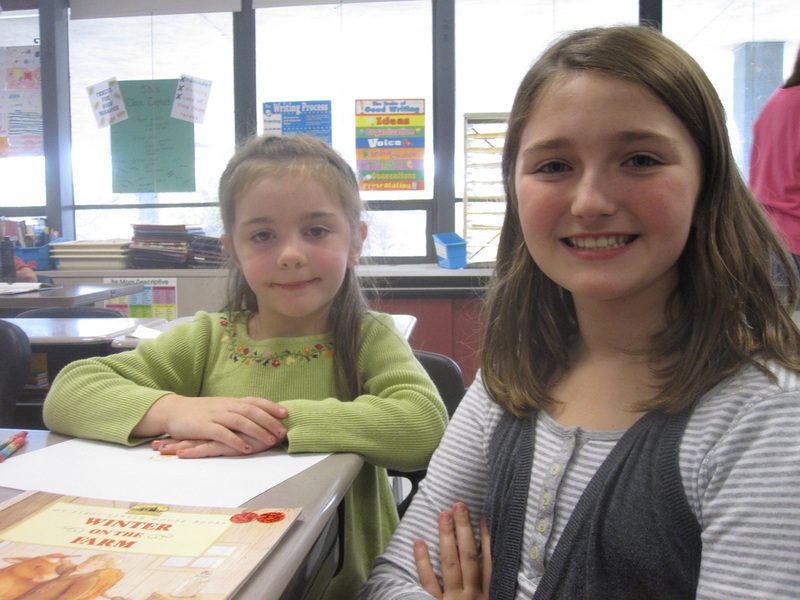 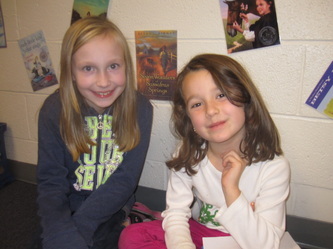 This year it was based on the characters from Because of Winn-Dixie by Kate DiCamillo and Crash by Jerry Spinelli. 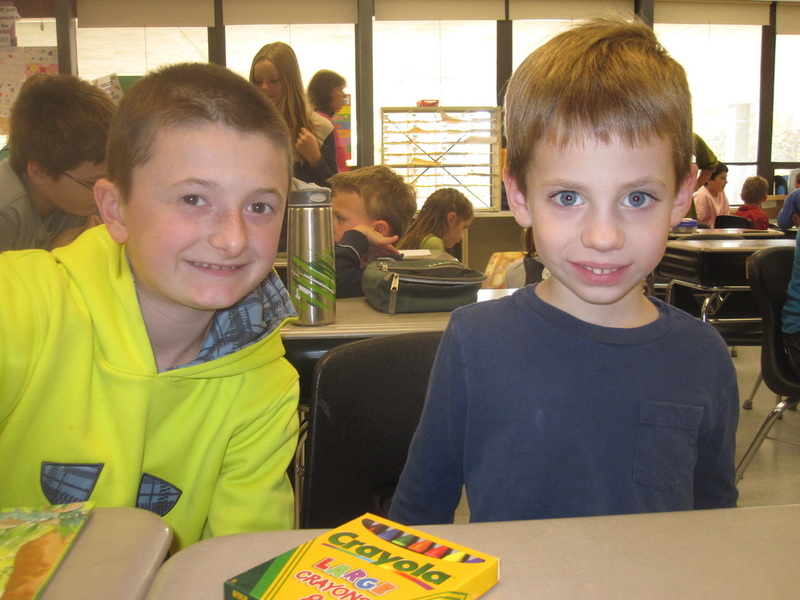 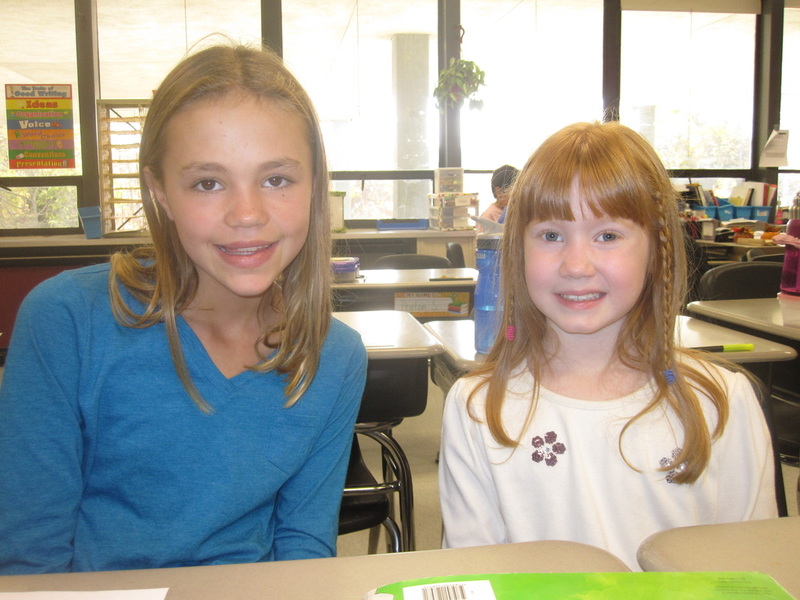 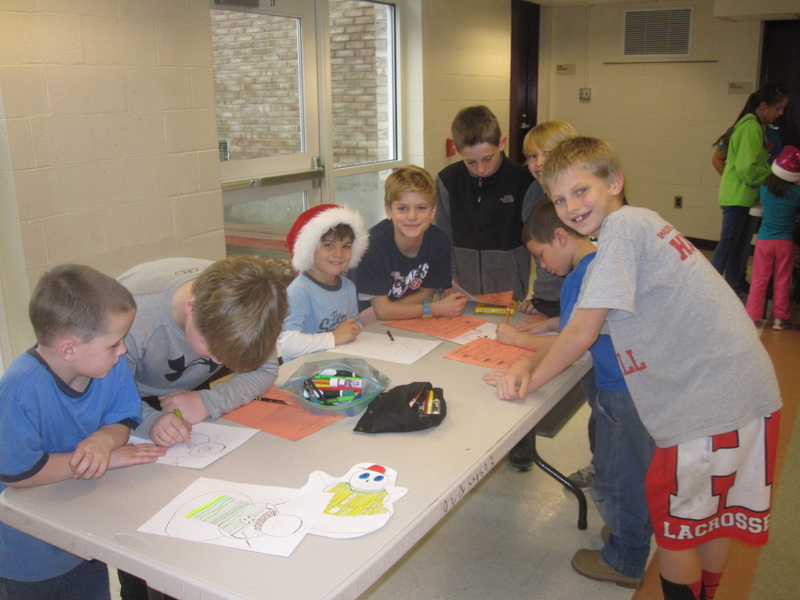 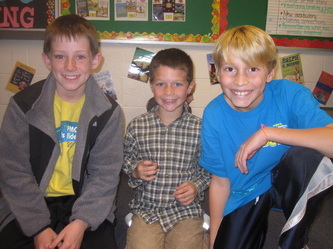 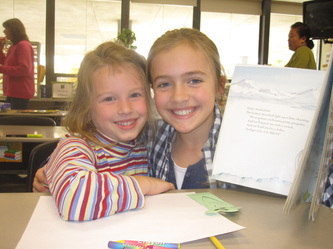 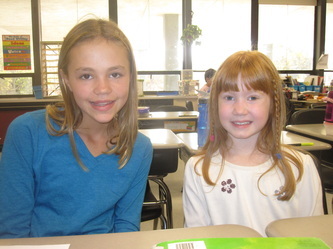 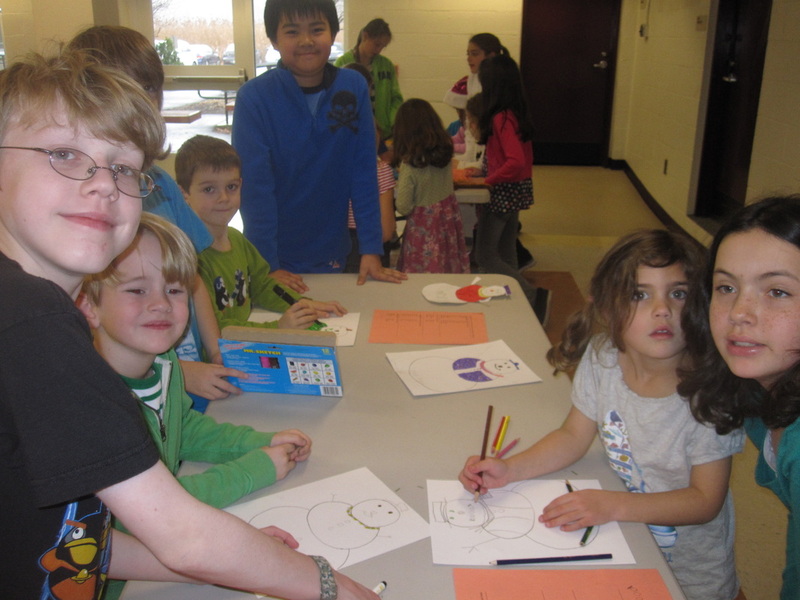 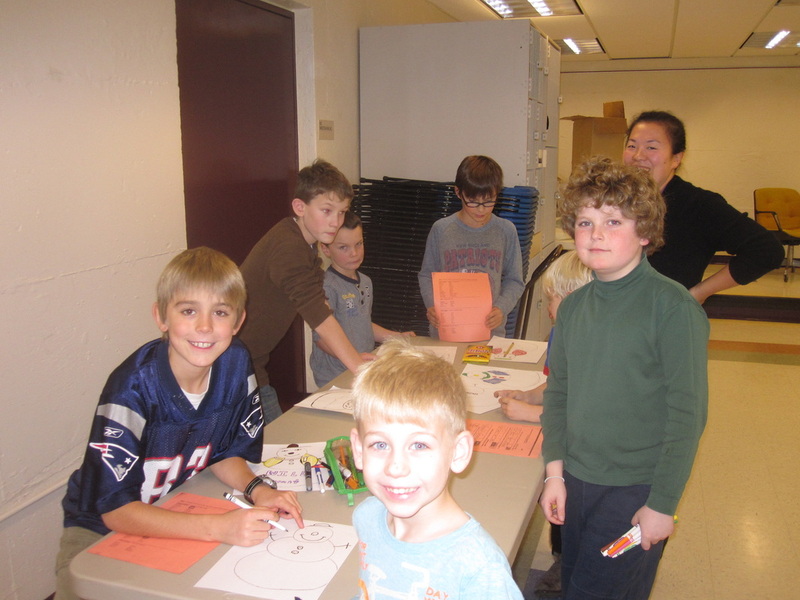 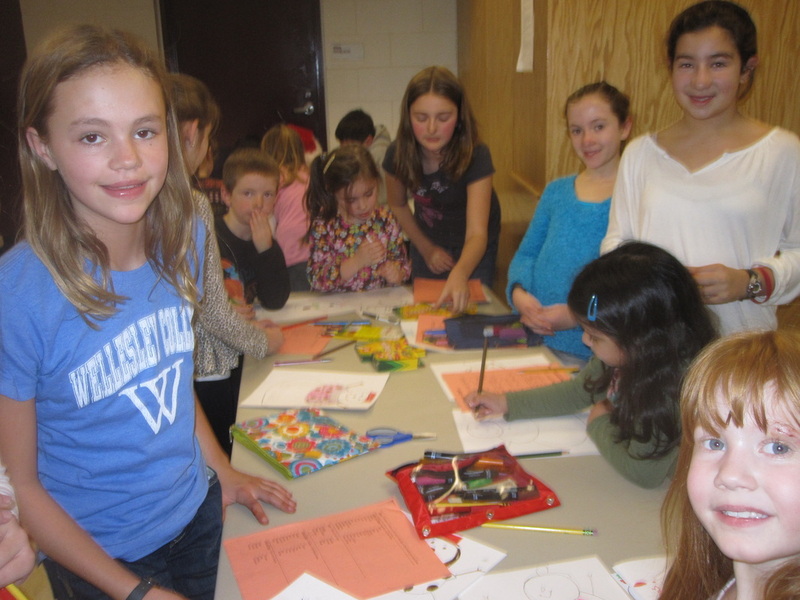 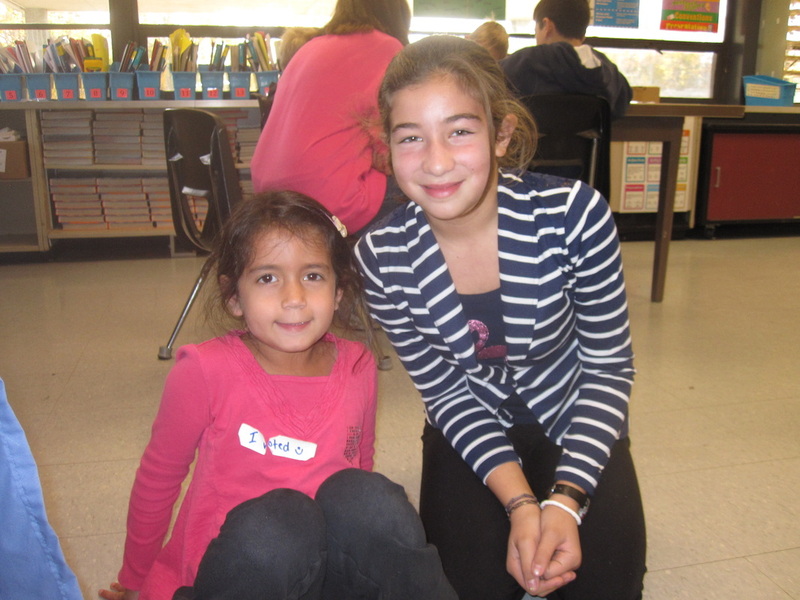 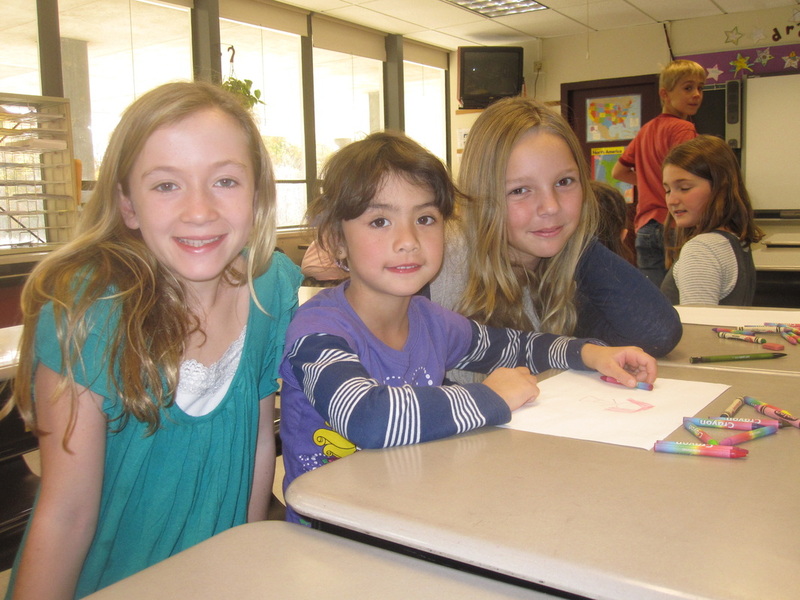 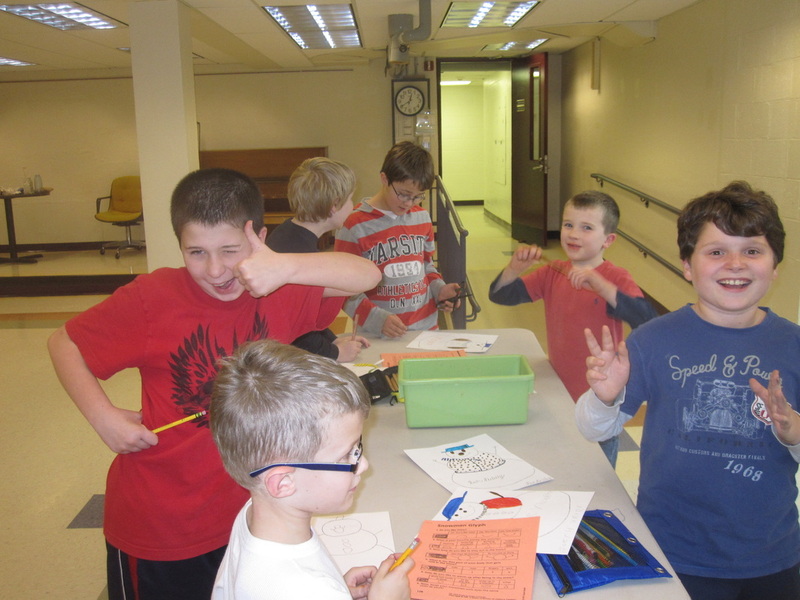 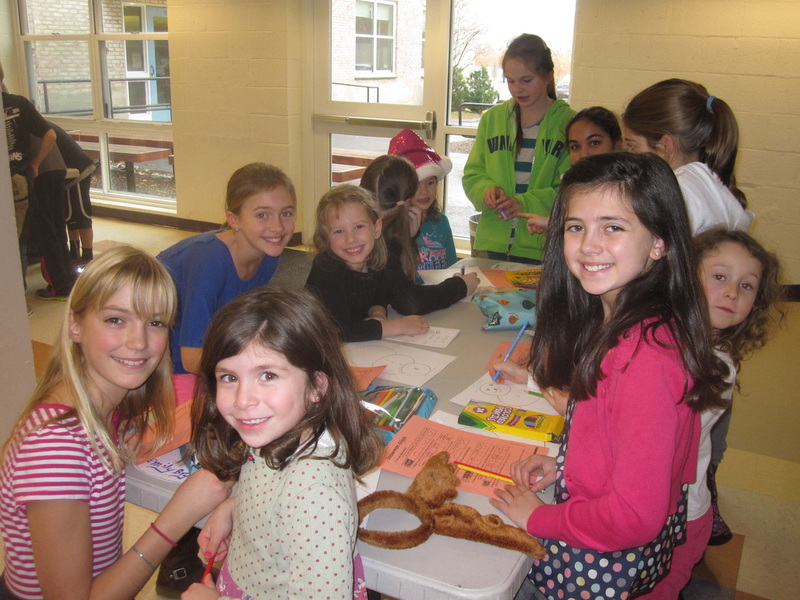 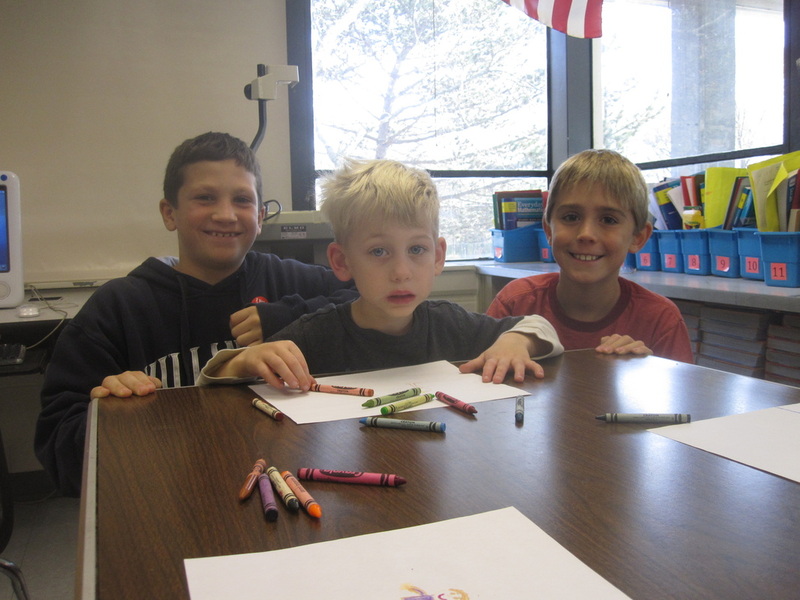 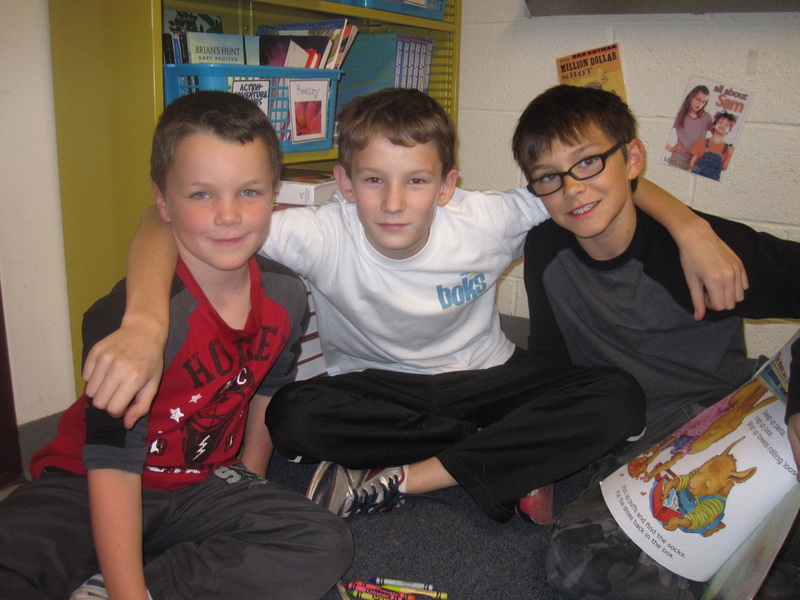 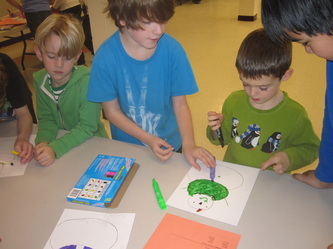 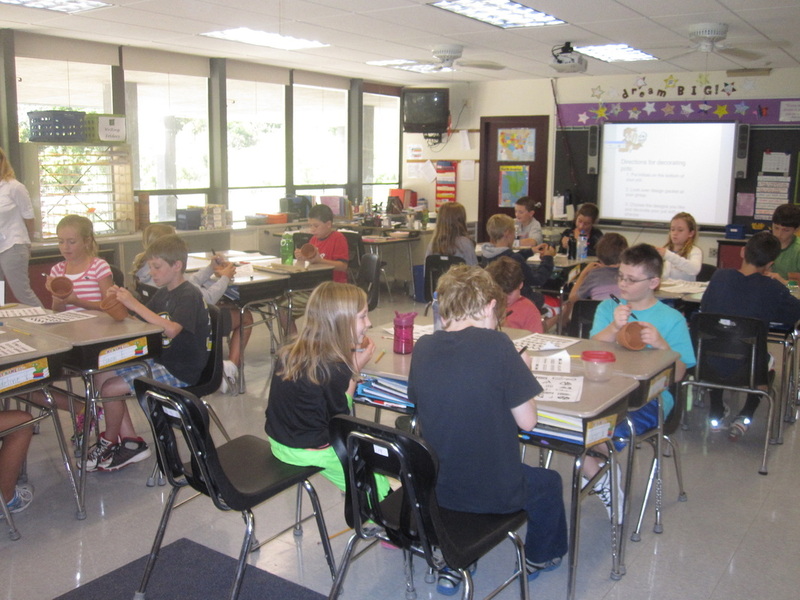 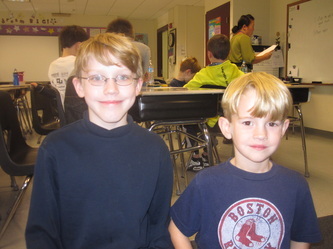 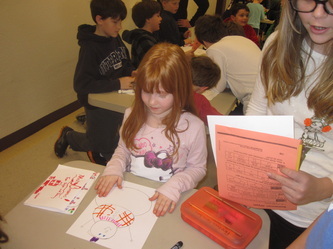 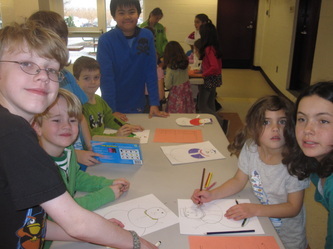 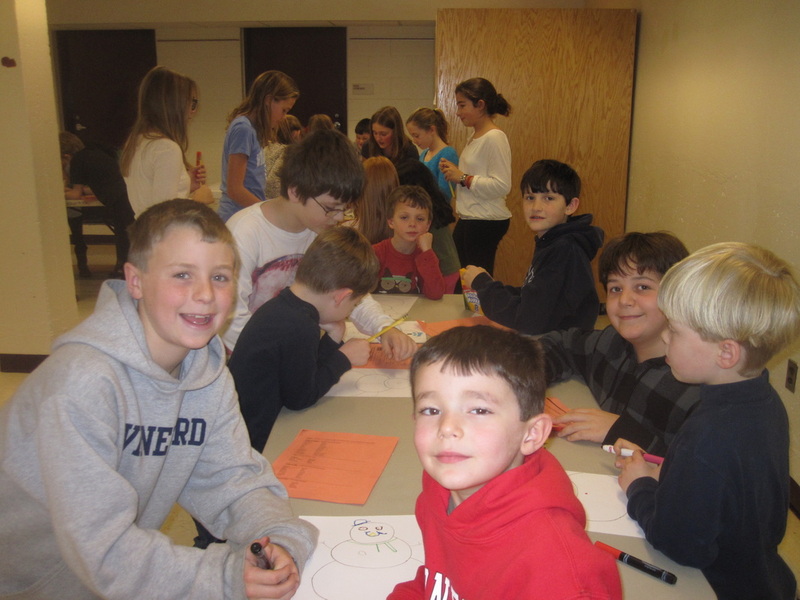 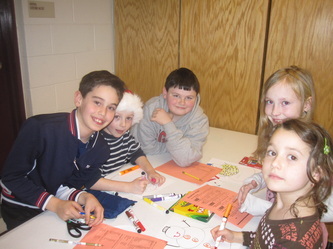 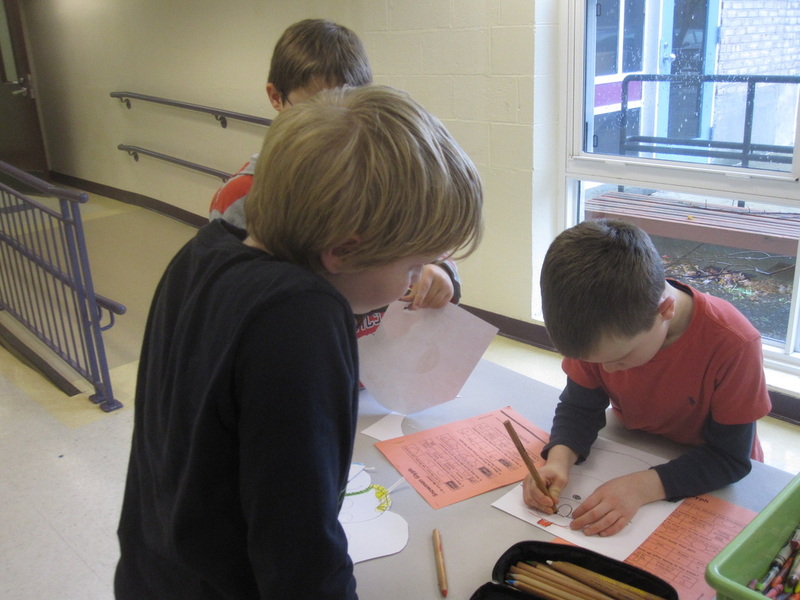 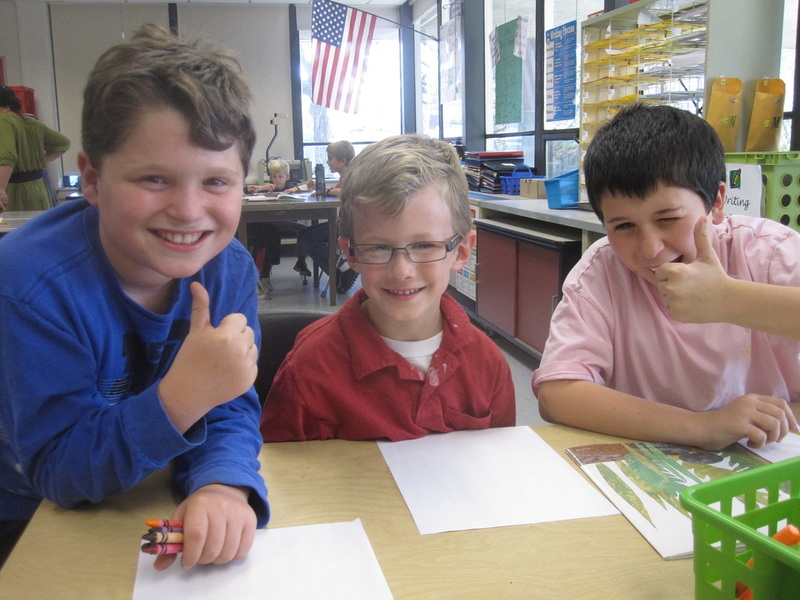 5M & 5N meet with their Kindergarten Buddies every few months. 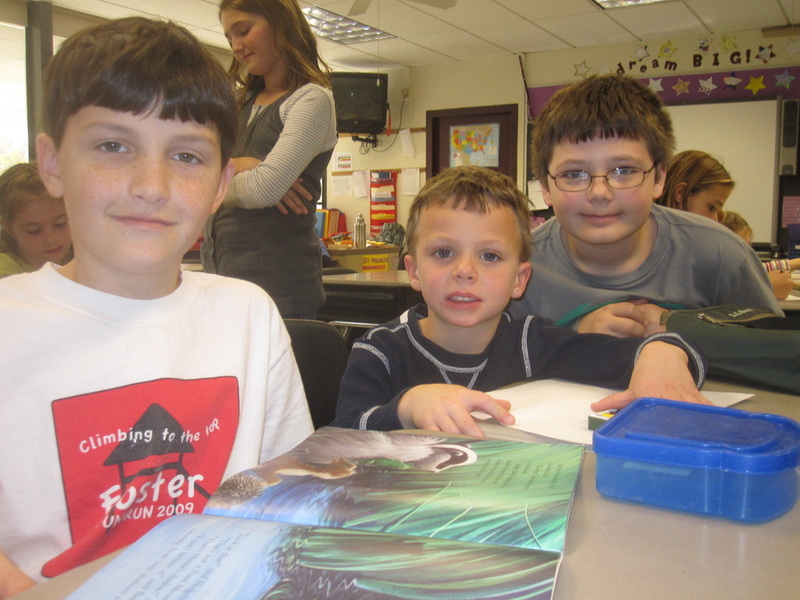 This helps our fifth graders be role models to the younger kids, and provides familiar faces for the newest members of Foster! 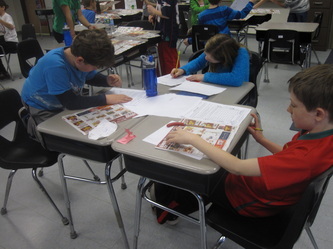 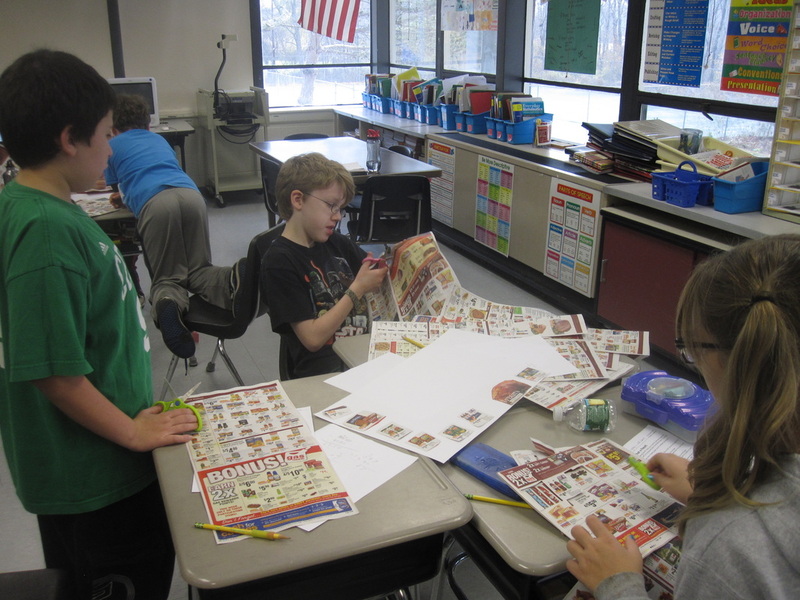 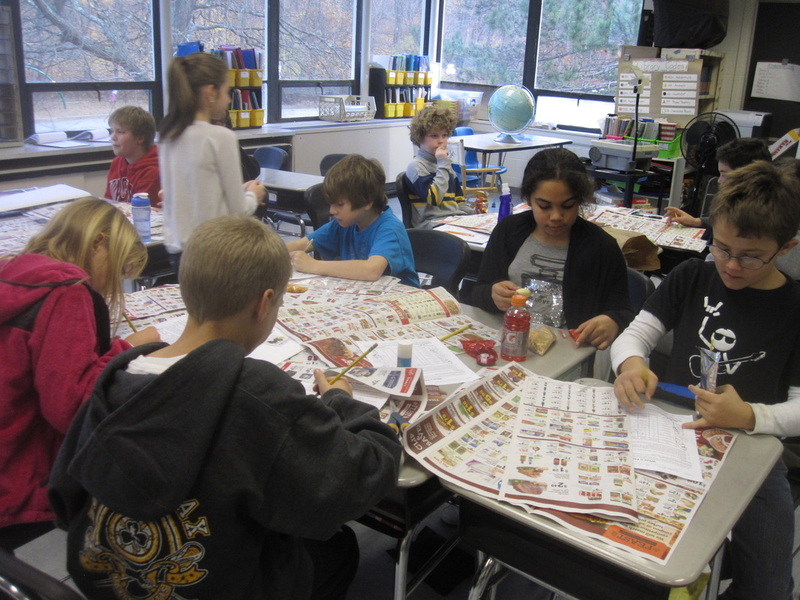 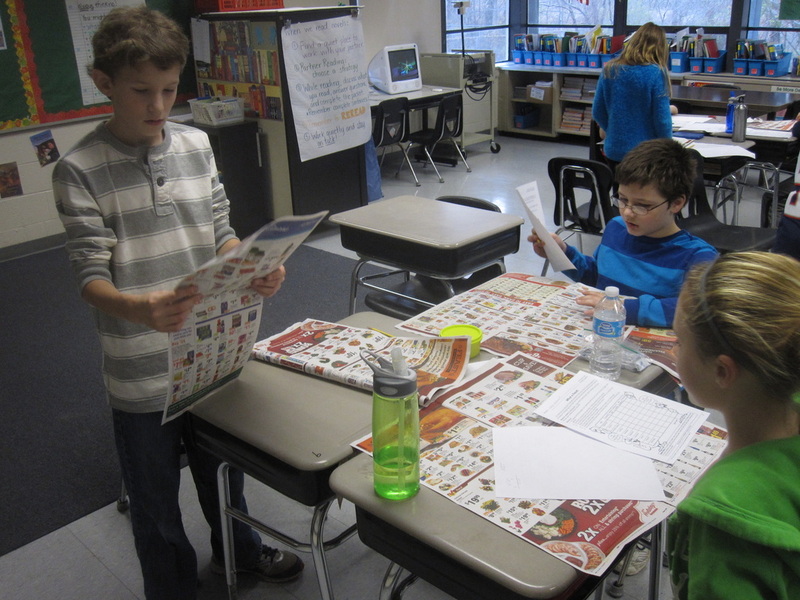 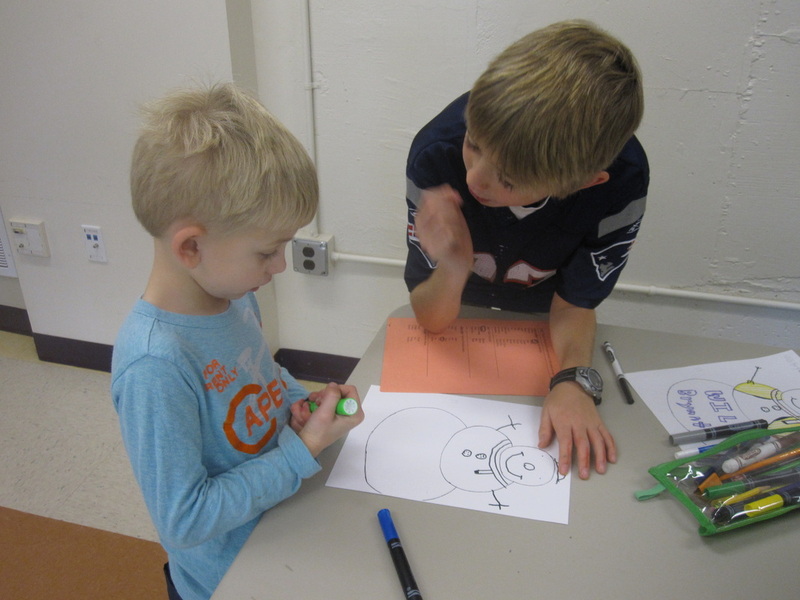 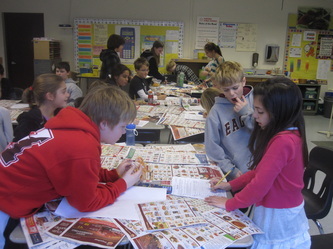 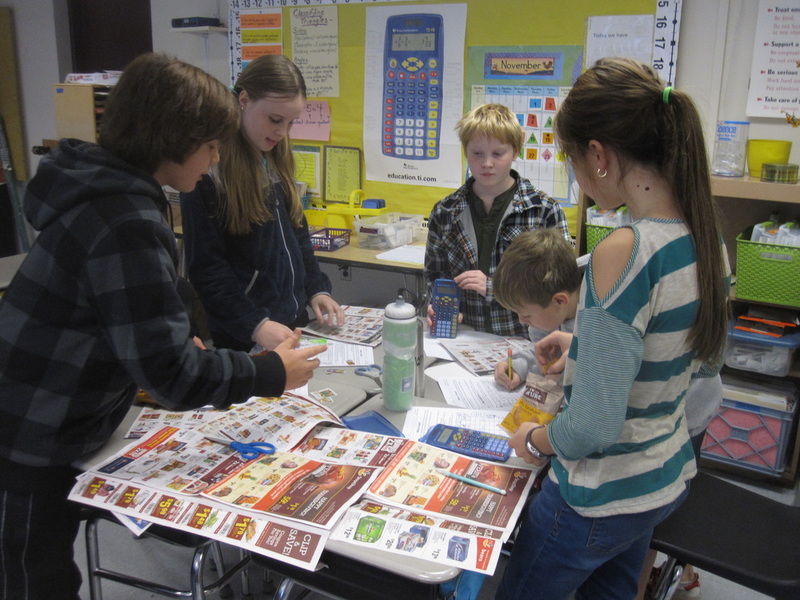 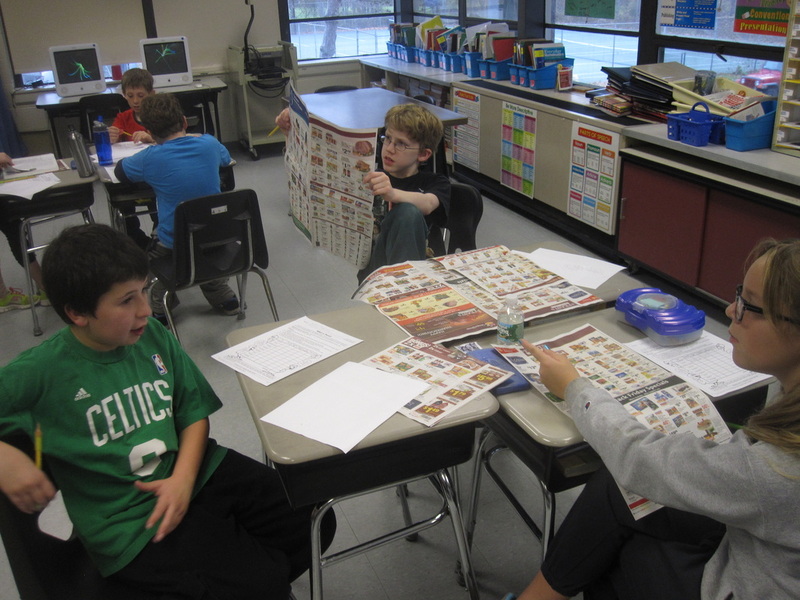 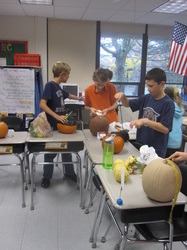 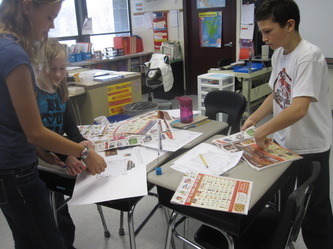 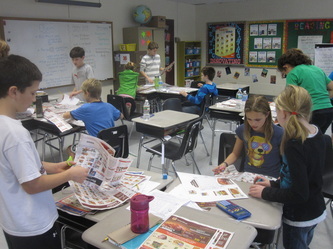 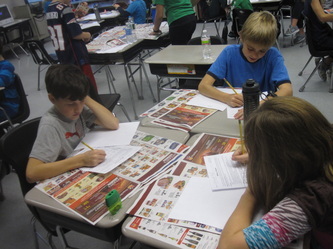 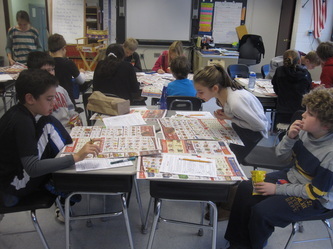 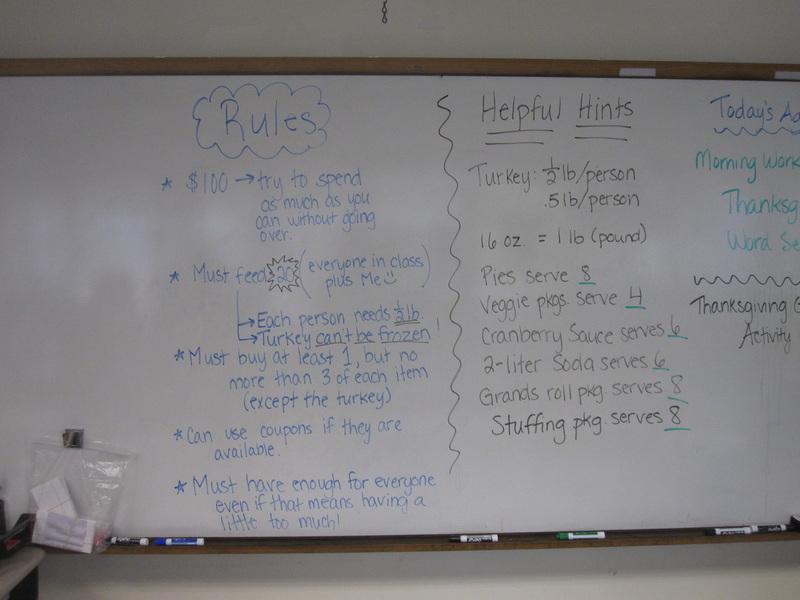 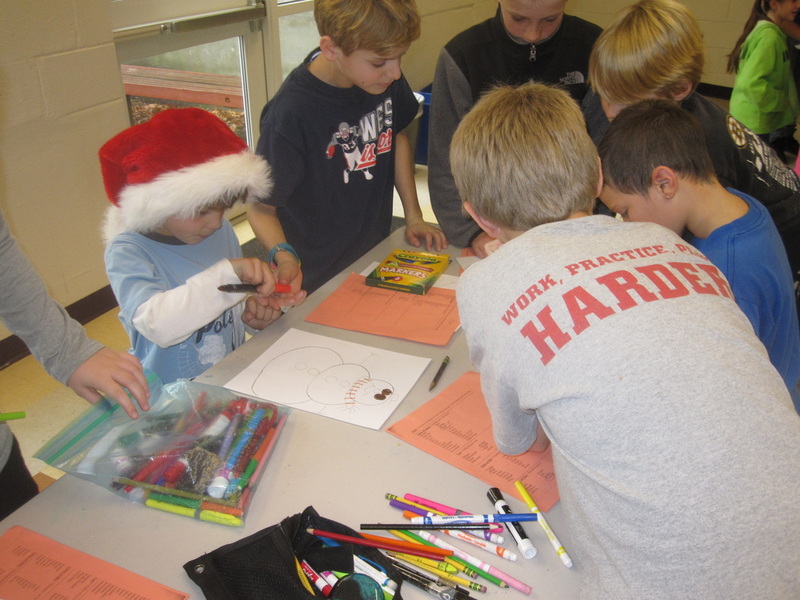 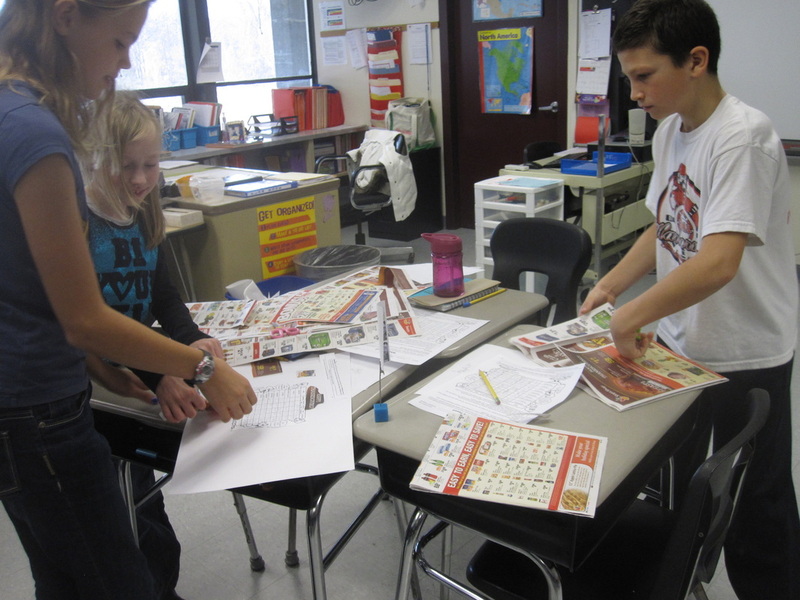 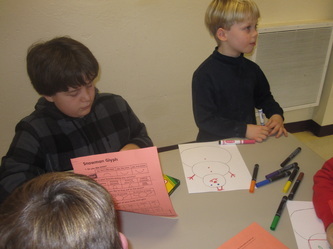 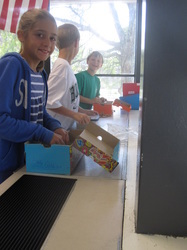 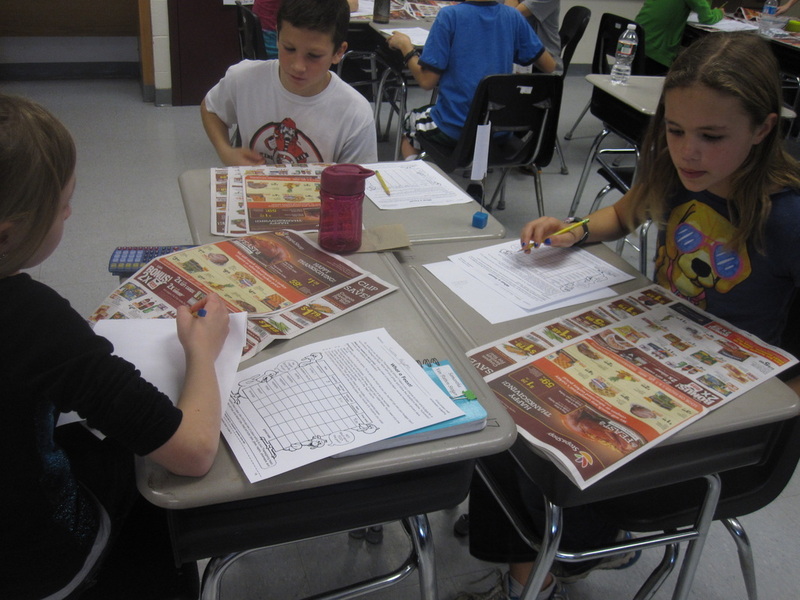 Students had to work in groups of 4 to plan a Thanksgiving Dinner to feed 20 people for no more than $100.